Emirates Triple-Seven A6-EBZ moments from landing on the 19th. 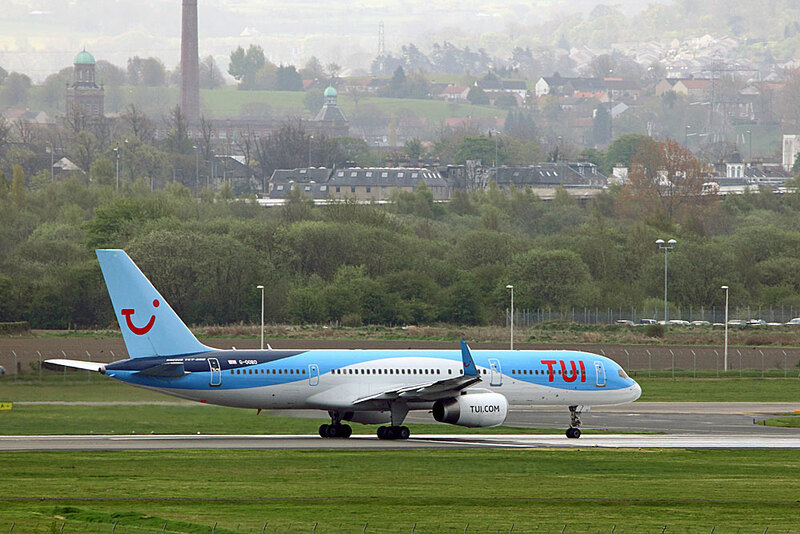 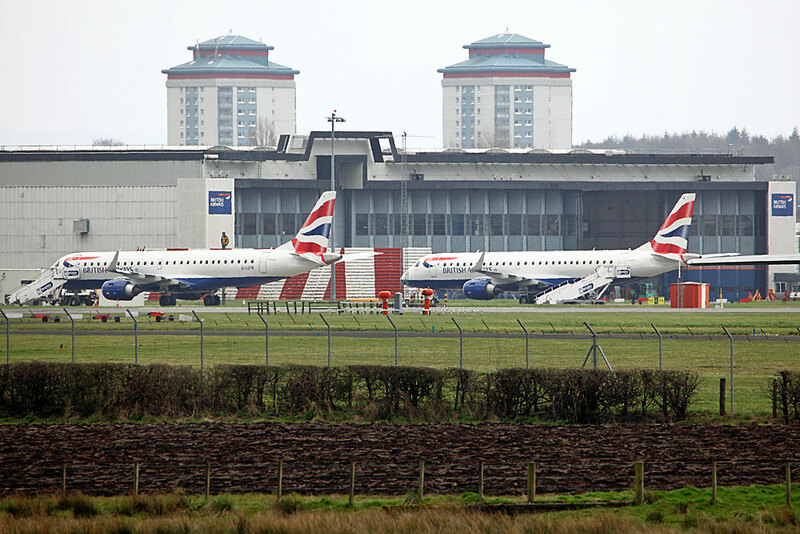 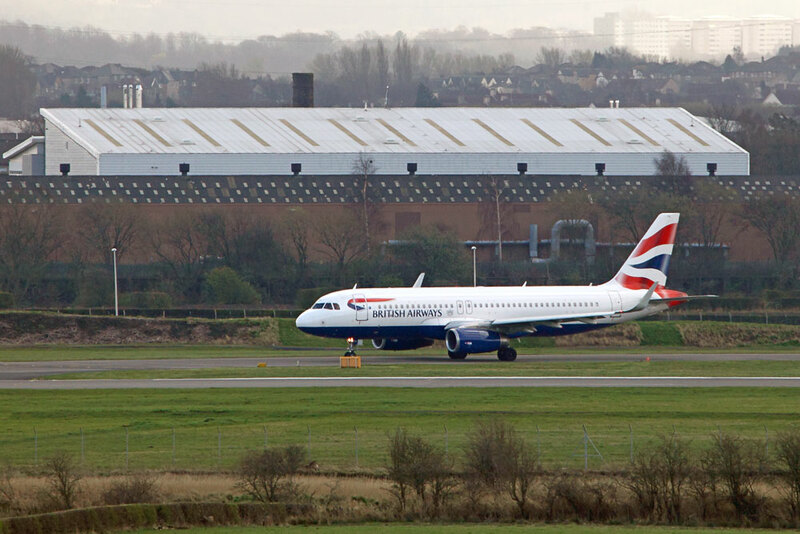 Glasgow Airport reported its busiest March on record after more than 700,000 passengers travelled through its doors last month, representing an increase of 7% on the same period last year. Demand for EU destinations increased by 20.5% with services to Paris, Valencia, Lisbon and Berlin all performing well. 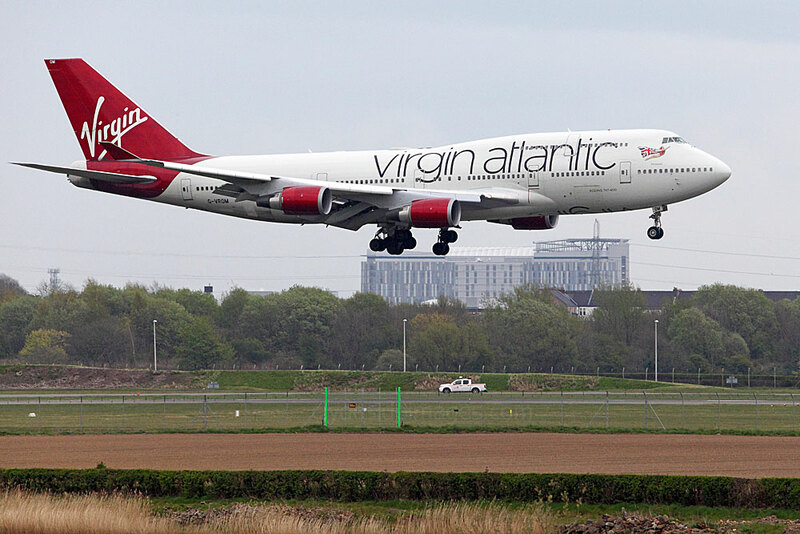 Long haul carriers Emirates and Virgin Atlantic, which has increased capacity on its Orlando service, also enjoyed a boost in passenger numbers. 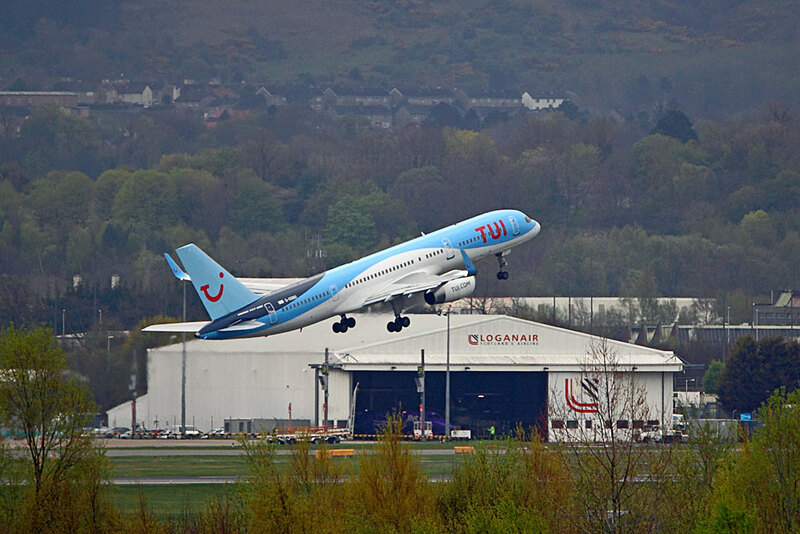 This contributed to an overall increase in international traffic of 13.7% while domestic traffic grew by 1.4%. 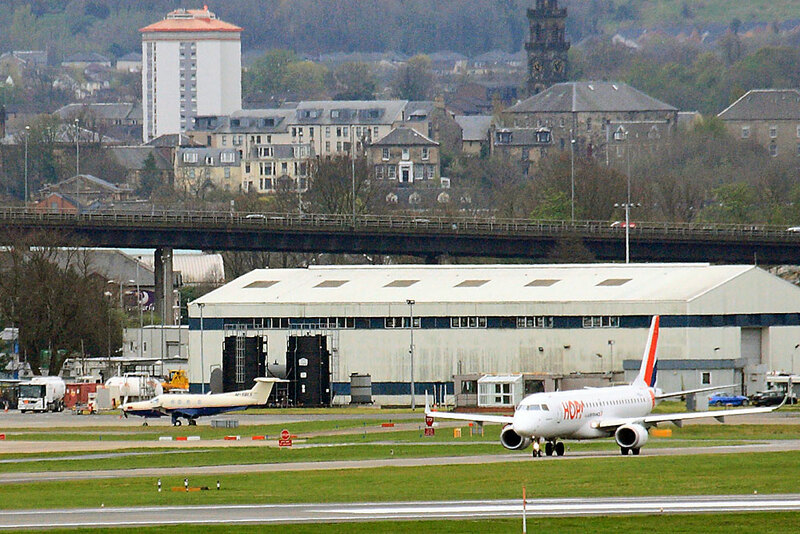 Although the number and frequency of flights no-doubt increased due to the Easter holidays, there didn`t seem to be an obvious `ramp-up` in airline movements over the Easter weekend, in fact the airport looked surprisingly quiet with only a handful of planes present when I passed by on a couple of afternoons. 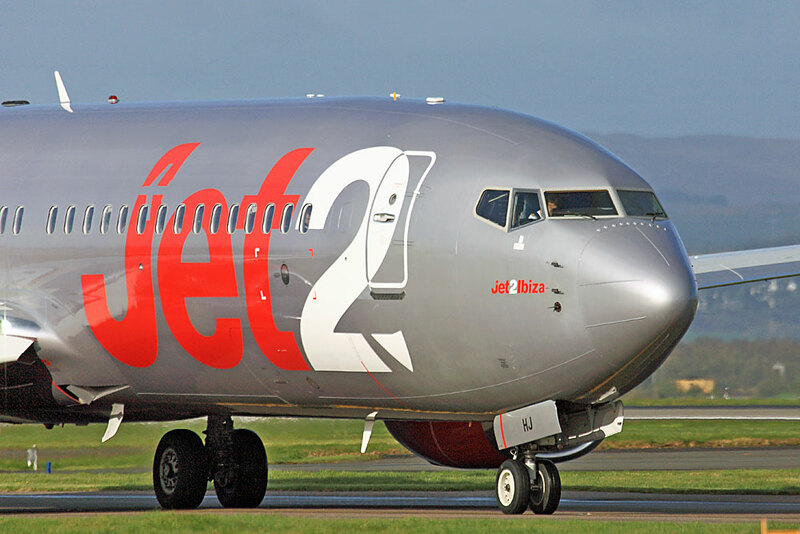 Jet2 announced that they will increase their holiday destinations available from Glasgow for summer 2018 adding routes to Kefalonia, Thessalonika, and Rhodes in Greece, Antalya and Bodrum in Turkey, and Larnaca, Cyprus. 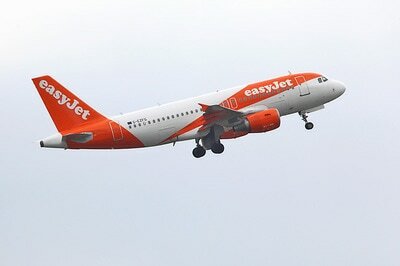 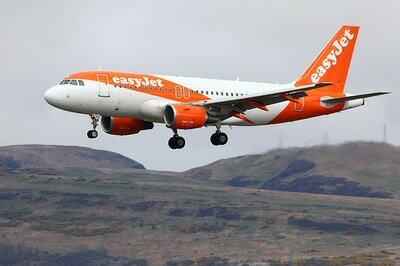 The airline will also add Antalya and Dalaman, plus Kos and Madiera from Edinburgh. 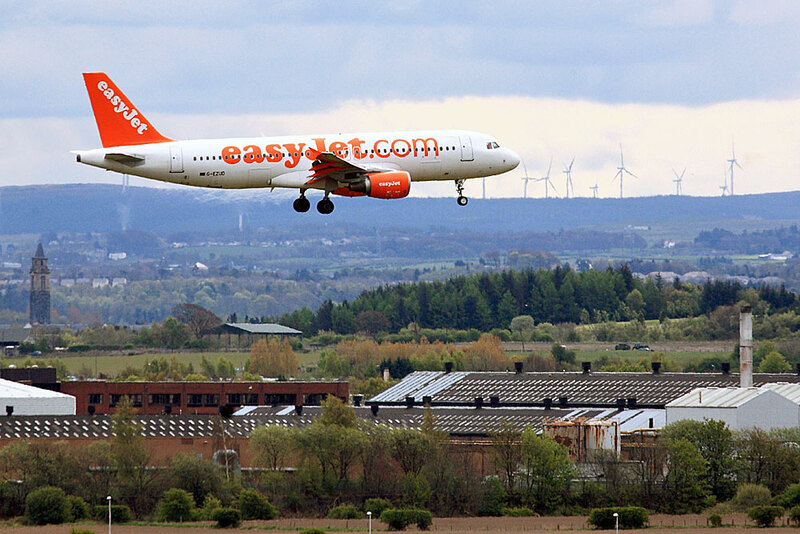 I managed a couple of trips away this April, firstly Ryanair from Glasgow to Dublin for the day, then a short city break to Krakow towards the end of the month, flying easyJet from Edinburgh. 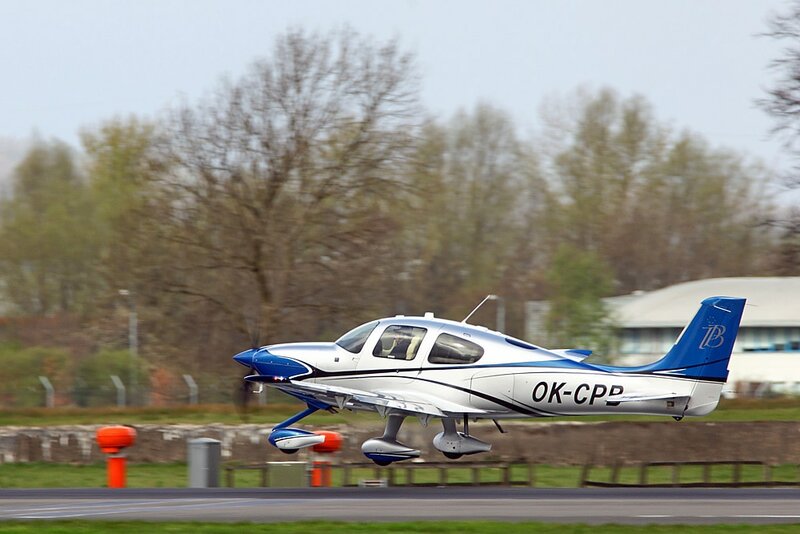 I hope to have the link to the excellent Polish Aviation Museum available in the not too distant future. 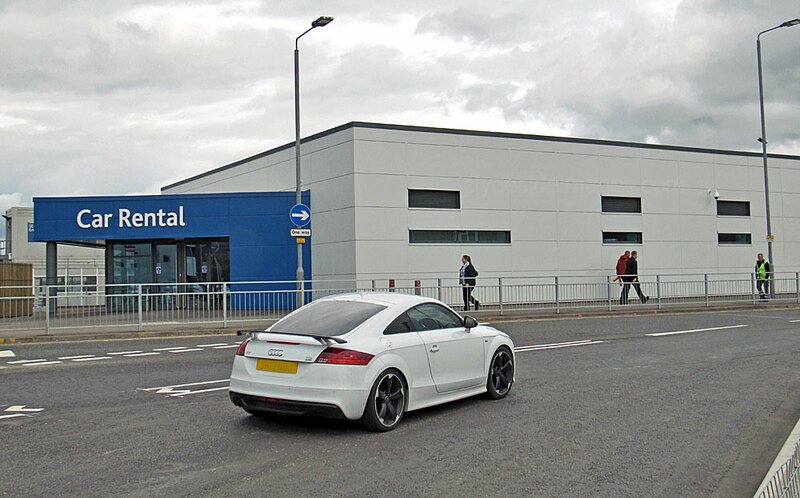 Glasgow Airport’s new £4-million consolidated car rental facility was officially opened at the beginning of the month. 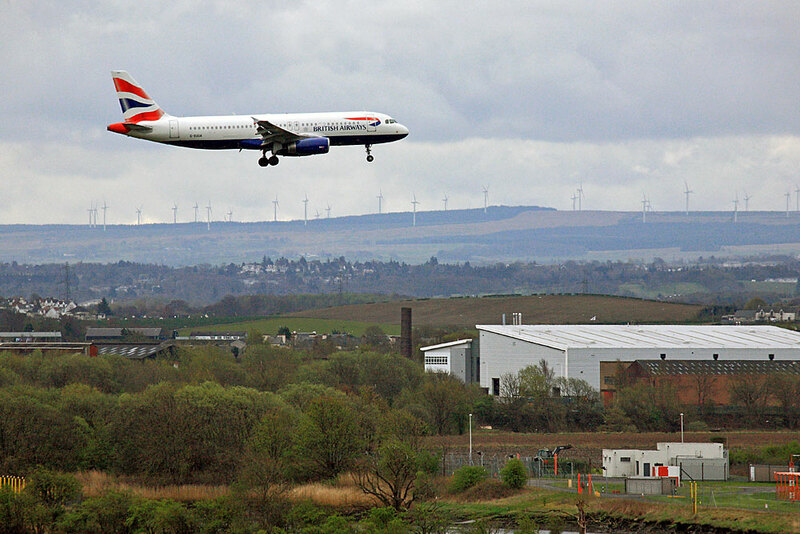 Situated next to the airport’s Terminal 2, the centre which was built by Cambuslang-based construction company CCG (Scotland) Ltd, houses five on-site rental car companies under one roof. 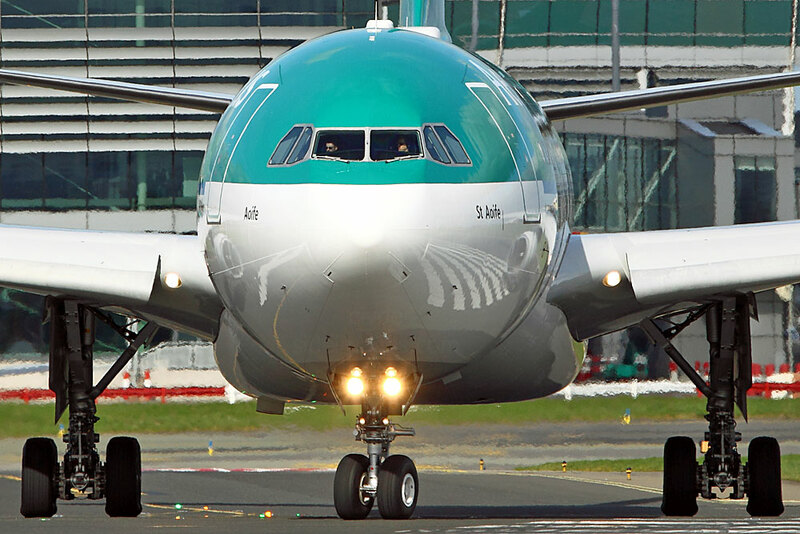 Passengers with a smartphone or tablet have the option of completing the whole rental process using their device and can go from the terminal directly to their chosen vehicle. 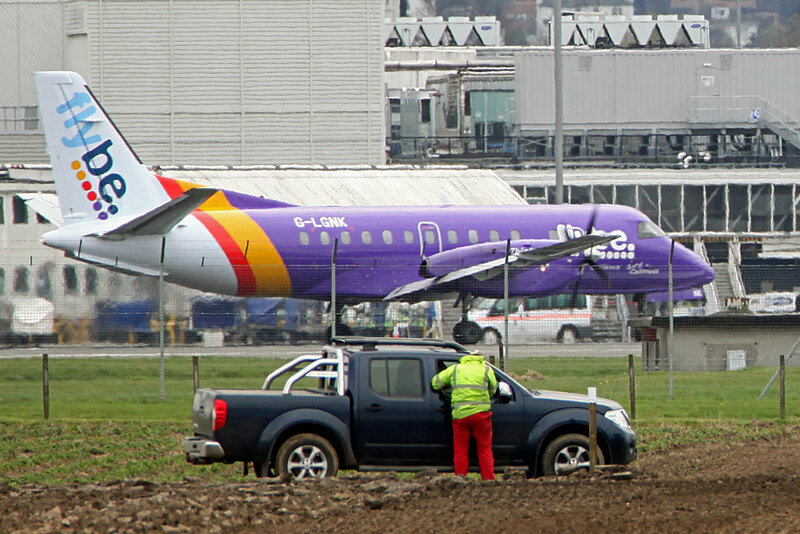 Thursday 27 April 2017 also saw the launch of the massively unpopular drop-off charge with drivers being forced pay £2 for a quick stop to deposit passengers. 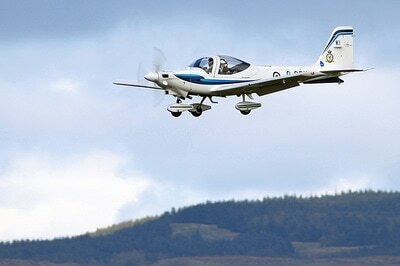 Any longer than 10 minutes incurs a charge. 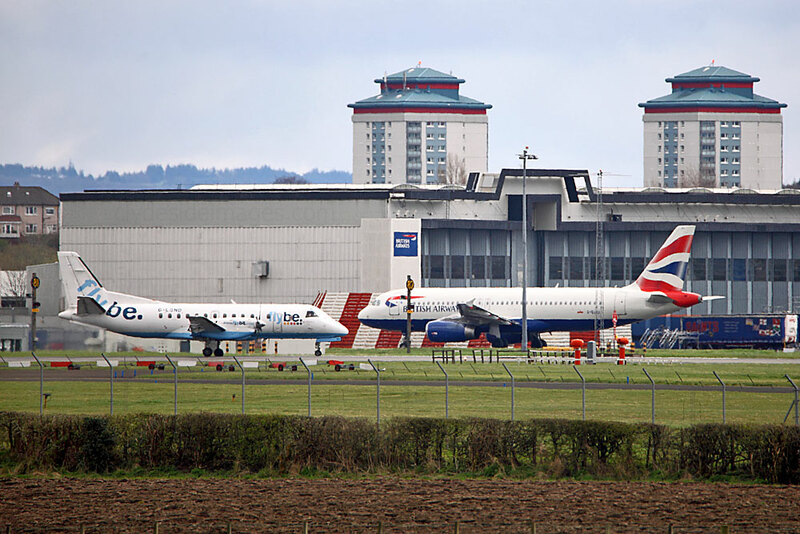 The airport has offered free parking for 30 minutes at the off-site Long Stay Car Park as an alternative with free transfer by shuttle bus if drivers don`t wish to pay for dropping at the fast-track. 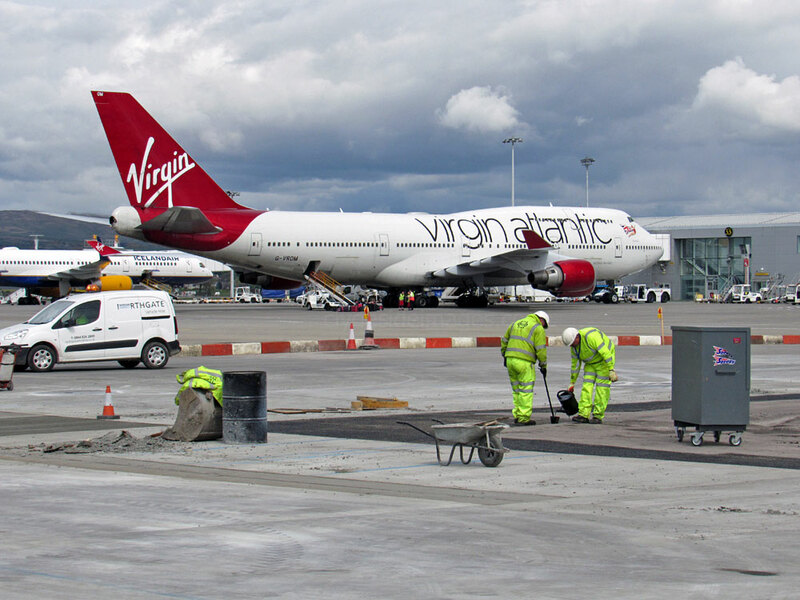 ​There was some congestion early on the first morning, reportedly due to a traffic light problem, but the airport `big guns`are optimistic that the new road layout will be a major improvement, and no doubt rake-in lots of dosh! 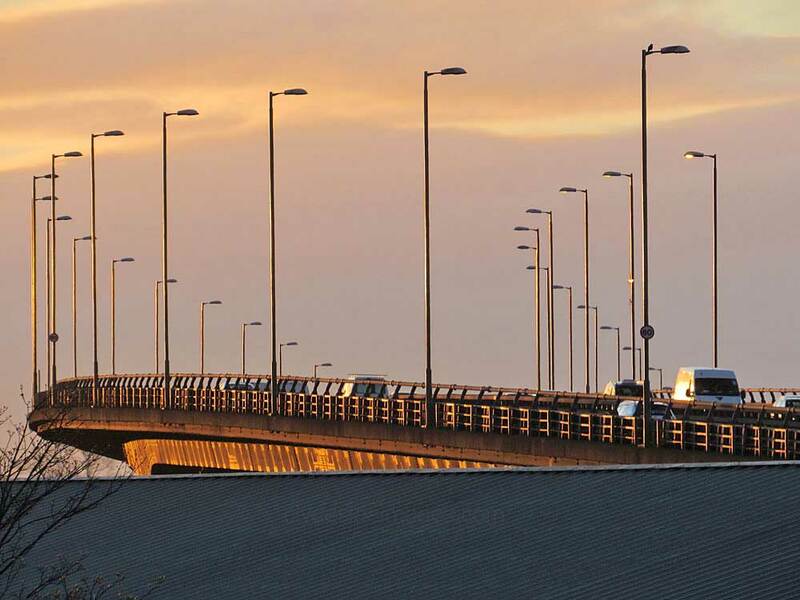 As illustrated in some of the above views, a substantial high wire fence has been erected along the old drop-off stretch of road in Caledonia Way West just west of the terminal to prevent pedestrian access and encourage cars to keep moving towards the pick-up and new drop-off zones. 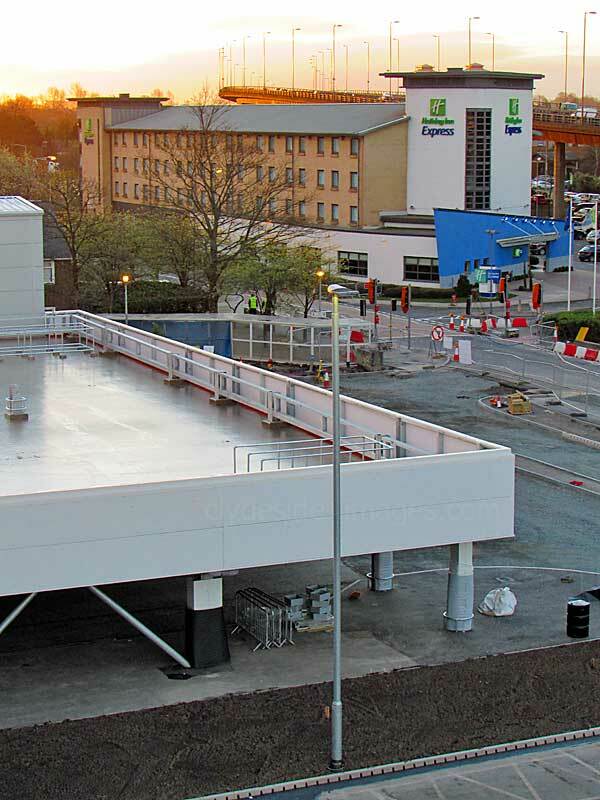 Exactly a fortnight after some of the slideshow shots were taken, the surfacing of the new stands is almost complete. 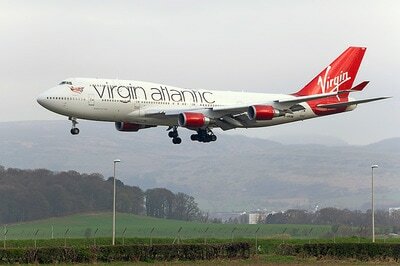 Virgin 747 G-VROM is at the terminal. In its last full financial year, Glasgow Prestwick Airport handled 624,000 passengers and processed almost 11,500 tonnes of cargo. 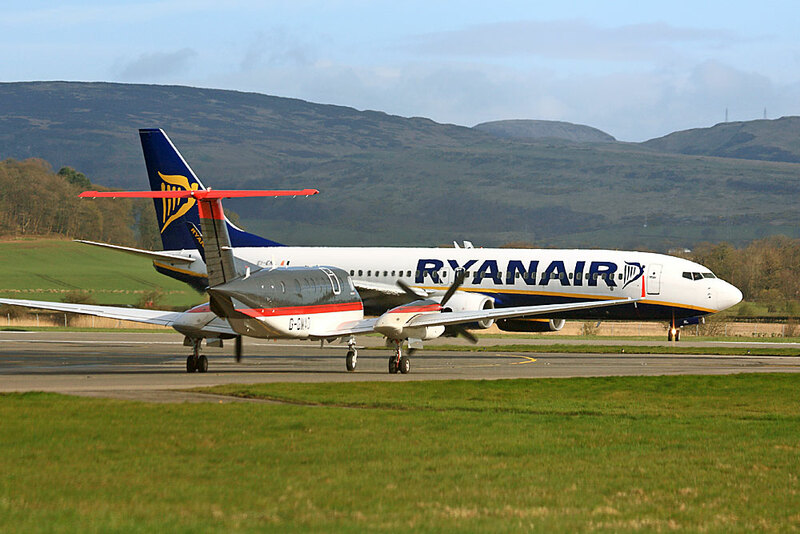 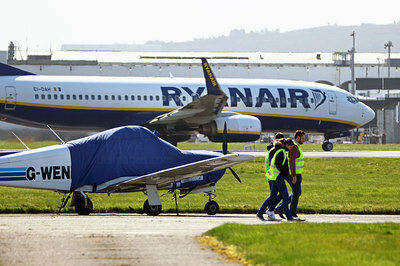 However, 10 years ago, before budget airline Ryanair began to operate flights from Glasgow International, Prestwick handled about 2.5 million passengers annually. 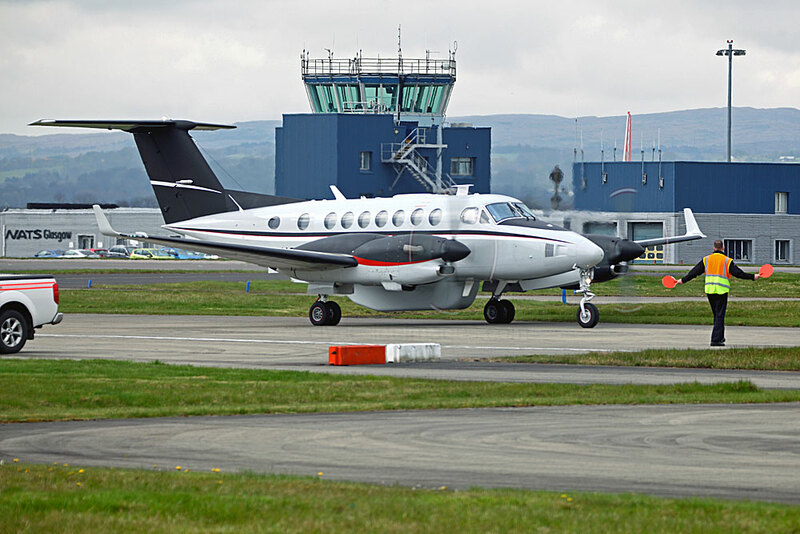 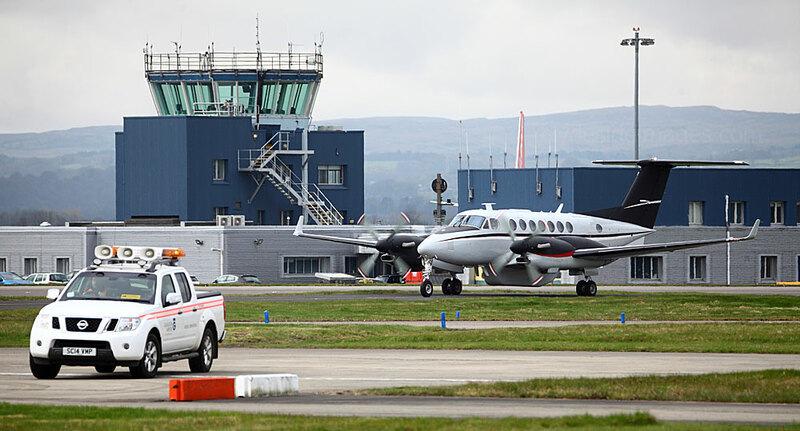 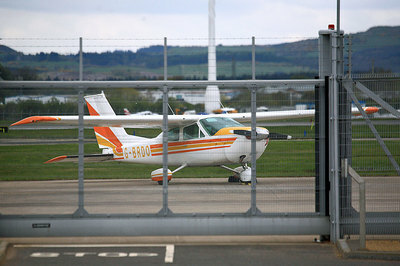 The loss-making Ayrshire airport was bought by the Scottish government three years ago for £1 and this drop has no doubt contributed to Prestwick`s decision to be returned to private ownership within the next five years. 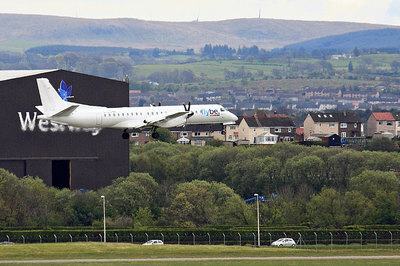 A turnaround in fortunes will be challenging but Prestwick's management team, led by chief executive Ron Smith who was appointed last May, hope to attract increased investment and revenue, particularly as the airport has some unique selling points which could help it stand out from its rivals in Scotland and northern England. 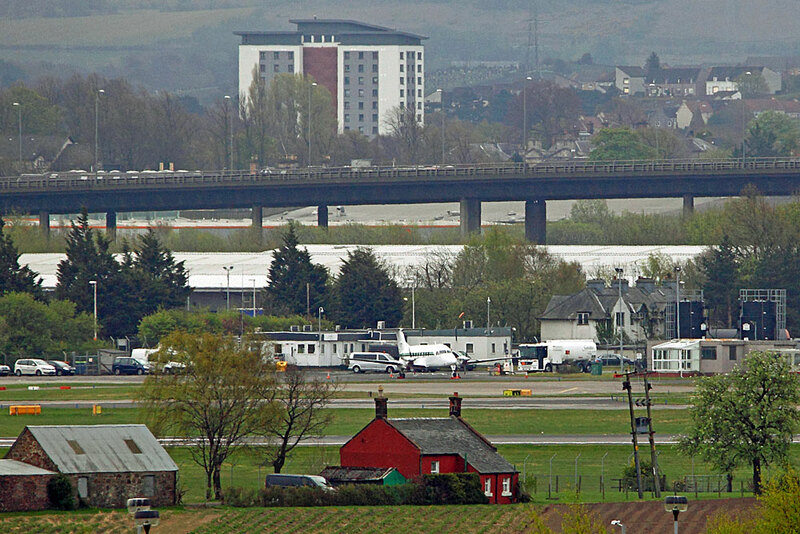 These include having Scotland's longest commercial runway and parallel taxiway, plus it`s the only airport in Scotland with a railway station on the site. 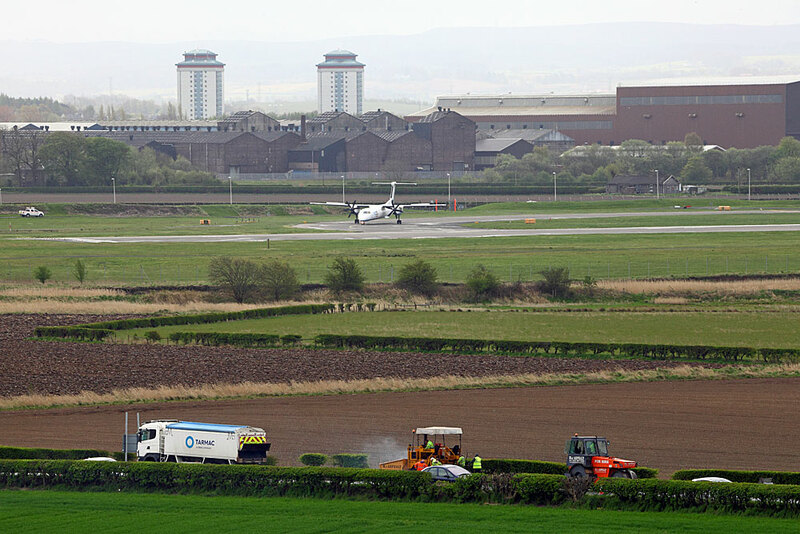 There are also hopes that Prestwick could secure a licence to become the UK`s first spaceport. 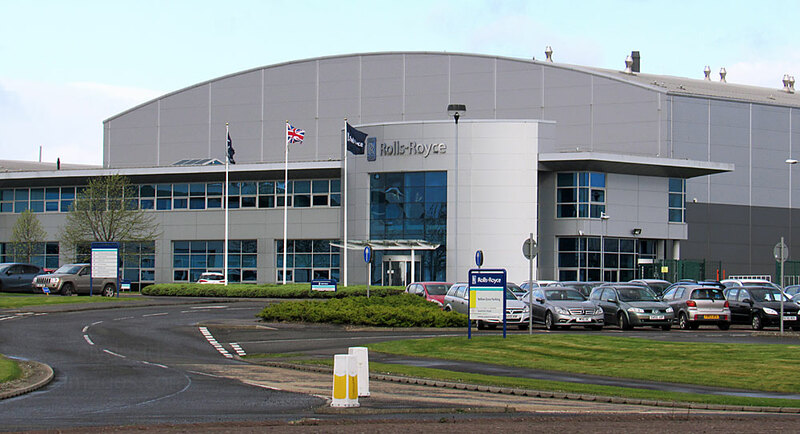 UK engineering giant Rolls Royce, who have a complex just north of the airport at Inchinnan, has reported a record loss before tax of £4.6bn for 2016. The company revealed that it achieved £915m in underlying profit before financial charges and tax, down 45% on last year`s figures on revenues of £13.8bn, also down 2 percent. 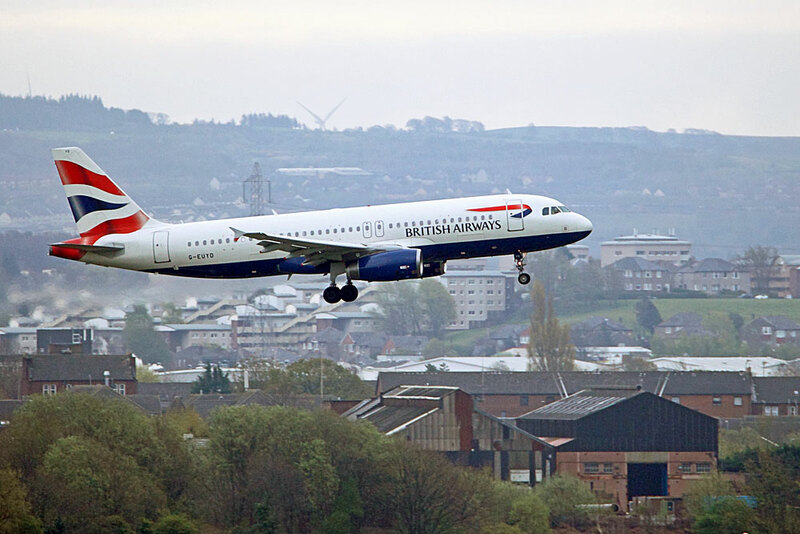 The announcement comes as the engine manufacturer undertakes a major transformation programme and makes an agreement to pay out £67m to settle corruption cases with the British and US authorities. 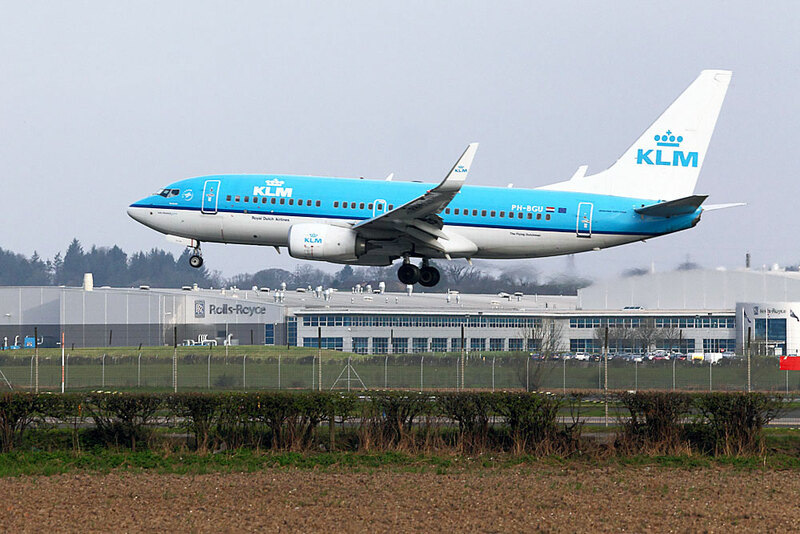 ​These illegal practices, which took place over a 25 year period, involved using local middlemen and paying bribes to win deals in Indonesia, Thailand, China and Russia. ​With a new management team in place, the manufacturer is planning to introduce its new Trent aero engines and increase engine production. 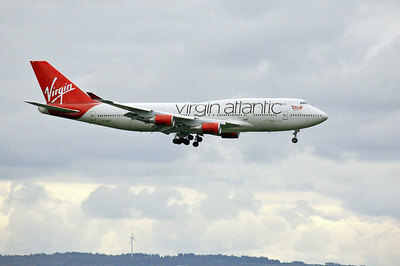 Virgin Atlantic 747 G-VROM arrives from Orlando on Saturday 29 April. 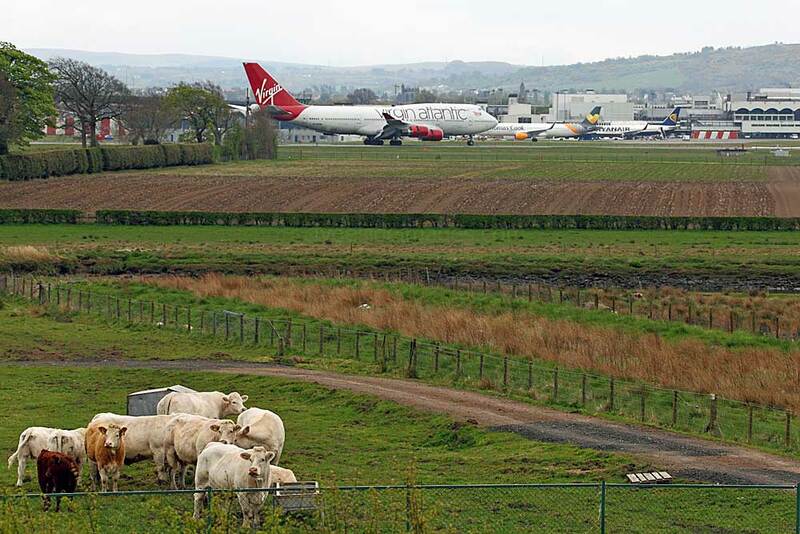 The local cows are more interested in when their next batch of feed will be delivered. 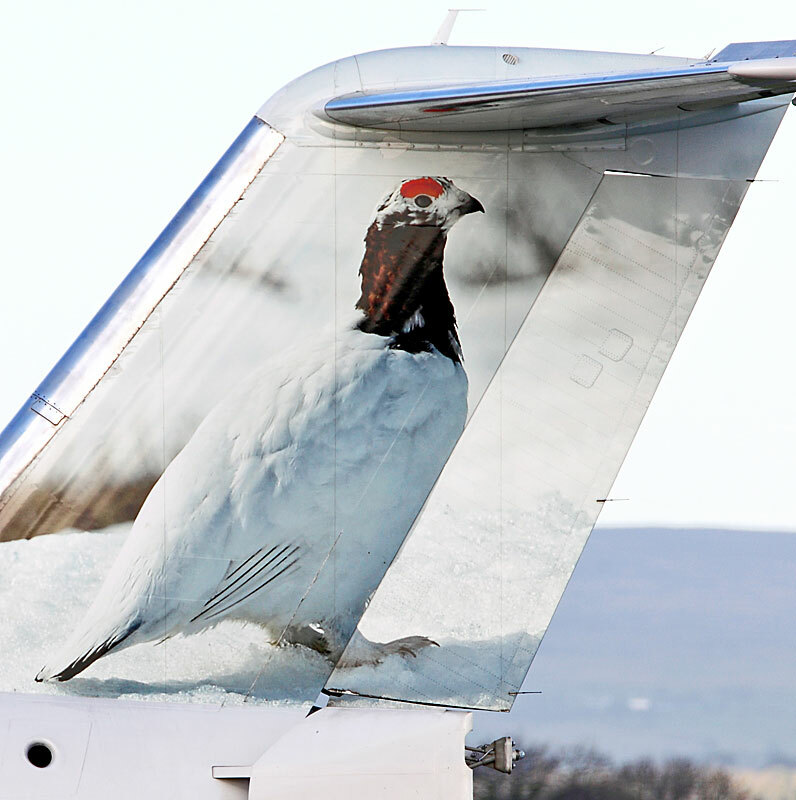 Although it sounds like an April Fools` Day wind-up, a Ptarmigan from Canada did actually land at Glasgow Airport on 1 April, however, it was in the form of tail art on a First Air BAe Avro RJ85. 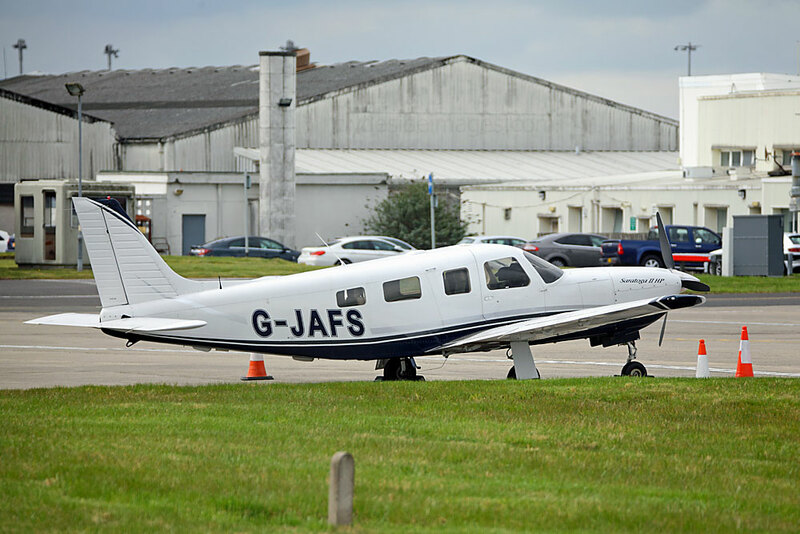 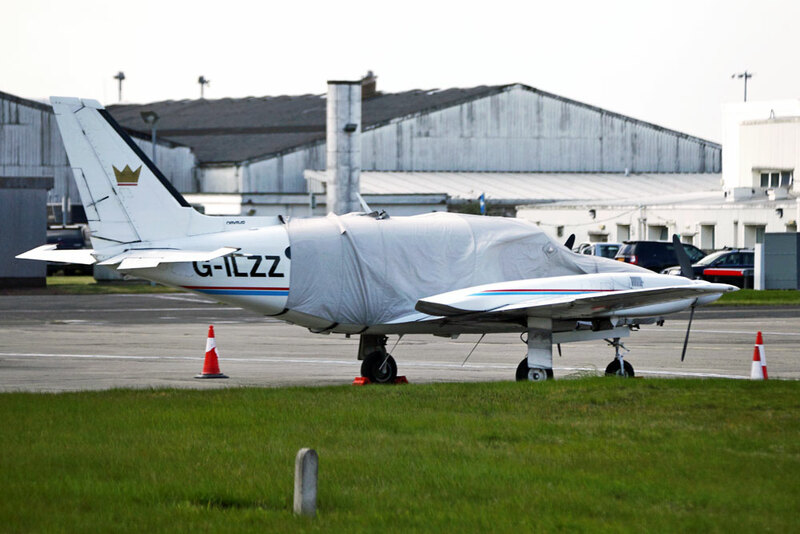 The aircraft, C-FERJ made its first appearance here when it landed at 19:30 hrs for a night stop, parking up on Area Juliet, and stayed until 10:55 hrs the following morning when it flew down to Cranfield for overhaul. 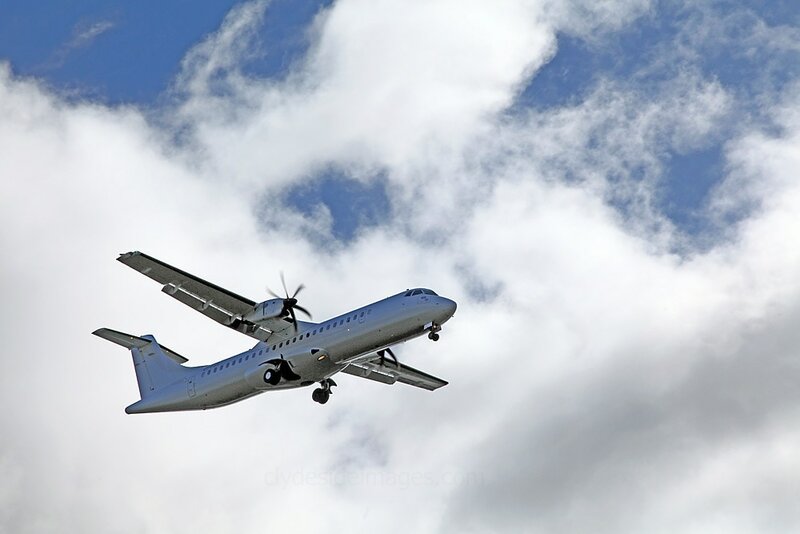 ​Bradley Air Services Ltd, operating as First Air, has its headquarters in Kanata, a suburb of Ottawa, Ontario, and offers services to 34 communities in Nunavut, Nunavik, and the Northwest Territories. 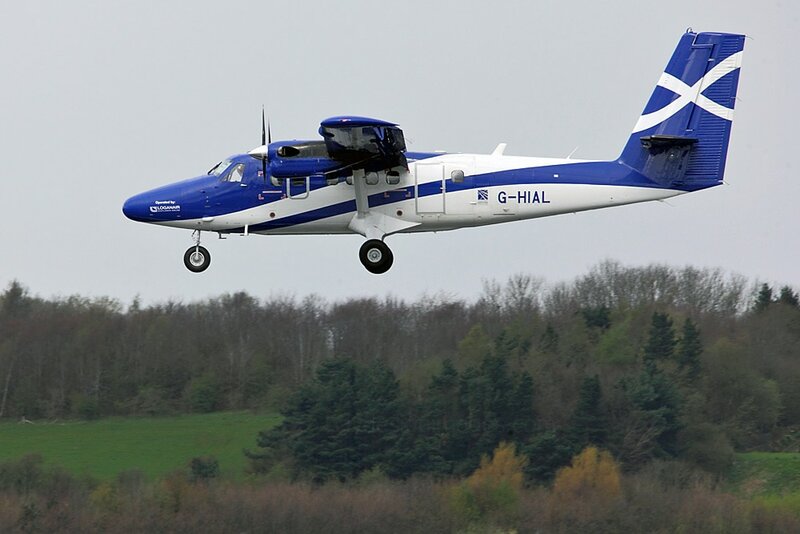 The majority of its fleet is available for charters worldwide and First Air has assisted in various humanitarian missions such as the 2010 Haiti earthquake, airlifting relief supplies and equipment. 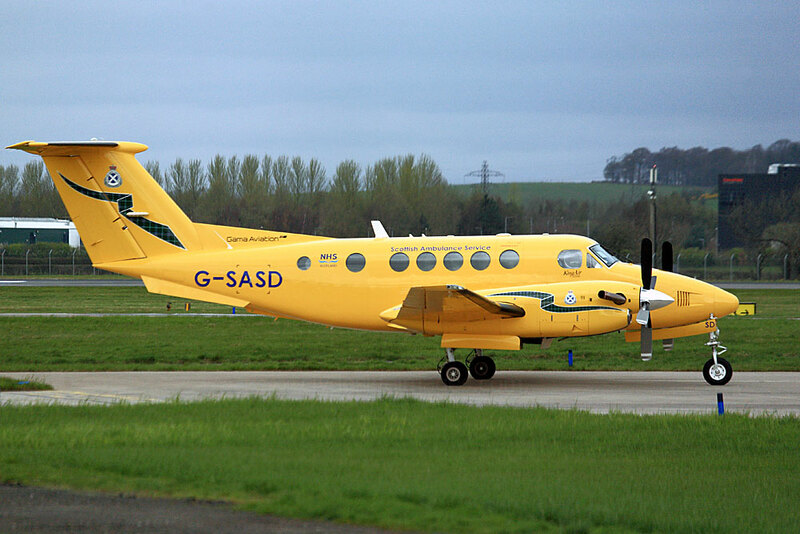 In 1995, First Air bought Ptarmigan Airways, and in 1997 it bought Northwest Territorial Airways (also known as NWT Air), both of which were merged into First Air. 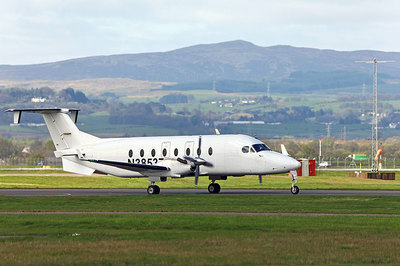 Ptarmigan Airways operated smaller turboprop types such as the King Air 200, DHC-2 Beaver, DHC-6 Twin Otter and Grumman Gulfstream I, as well as Cessna Citation corporate jets. ​Northwest Territorial operated Boeing 727-100 and Boeing 737-200 jetliners, Lockheed L-188 Electra, Lockheed L-100 Hercules cargo turboprops and Douglas DC-3s. 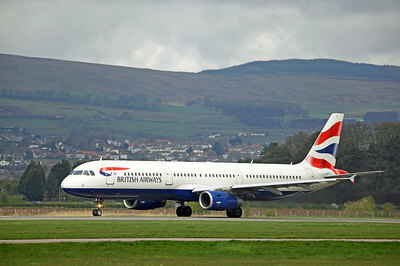 In June 2009, First Air acquired a Boeing 767-223 SF (Super Freighter) under a three-year dry lease but this aircraft has since left the fleet. 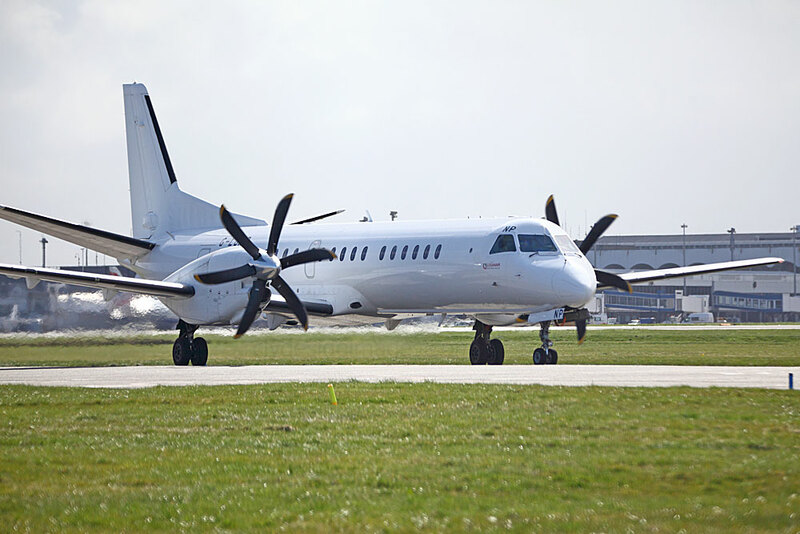 ​Nowadays, the First Air fleet includes Boeing 737-400 and ATR 42-300 and ATR 42-500 aircraft, all of which are gravel and ice strip equipped for landing in remote locations. 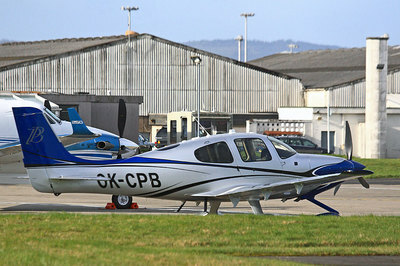 Many are combination aircraft capable of multiple passenger/cargo configurations. C-FERJ is an ex-Summit Air machine and I`m unsure at this time whether the aircraft has been leased or recently purchased by First Air. 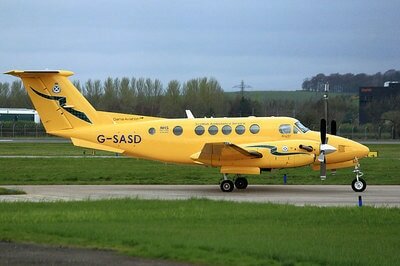 Another interesting visitor from the Canadian Register appeared during the afternoon of Thursday 20 April. Bombardier CRJ-200LR C-FWWU belongs to Voyageur Airways Ltd which has its base in North Bay, Ontario. The airline has been operating since 1968 and, along with air charters, it has a repair and maintenance facility. 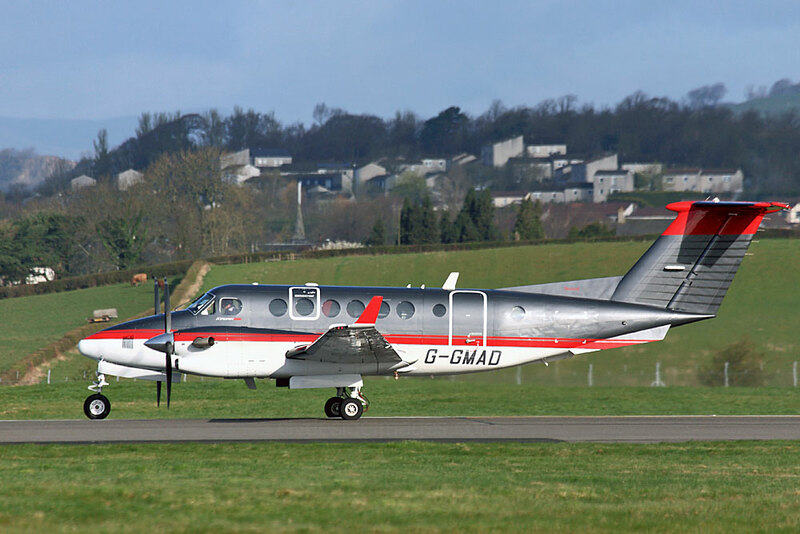 It also provides an air ambulance service and supplies aircraft, including Dash 7 and Dash 8s, to the United Nations and NATO for operations in places such as Afghanistan, Democratic Republic of Congo, Chad, Ivory Coast and Sudan. 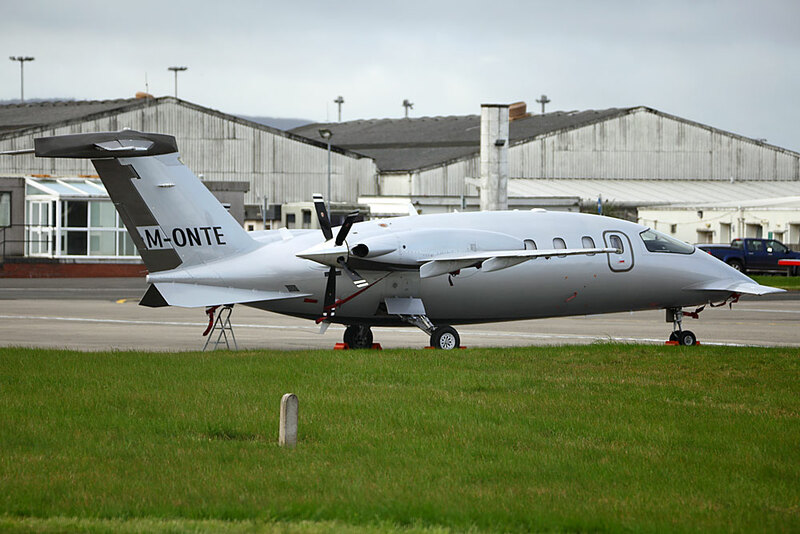 This CRJ200 seems to have had its nose, fuselage and tail fin markings recently painted out, possibly because its charter period with the UN has ended. 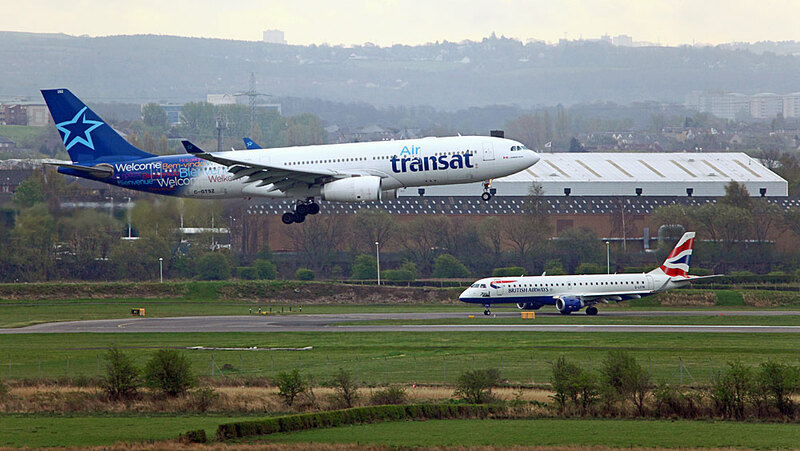 ​Air Transat A330-243 arrives from Toronto early on the 20th, passing Embraer ERJ-190SR G-LCYN, the 700th Embraer Regional Jet to be delivered. 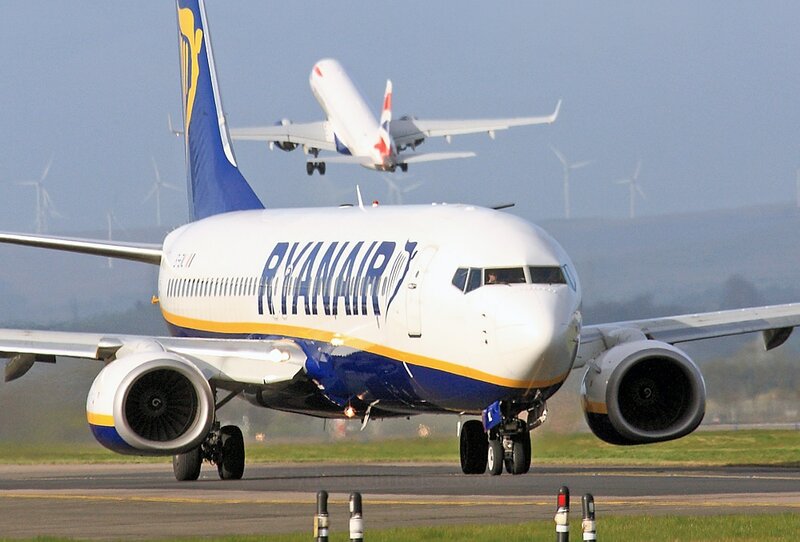 Following an incident on an United Airlines` plane in the USA earlier this month, the share price of the operator`s parent company plummeted by more than 4% with nearly $1bn (£800m) being wiped off its value. 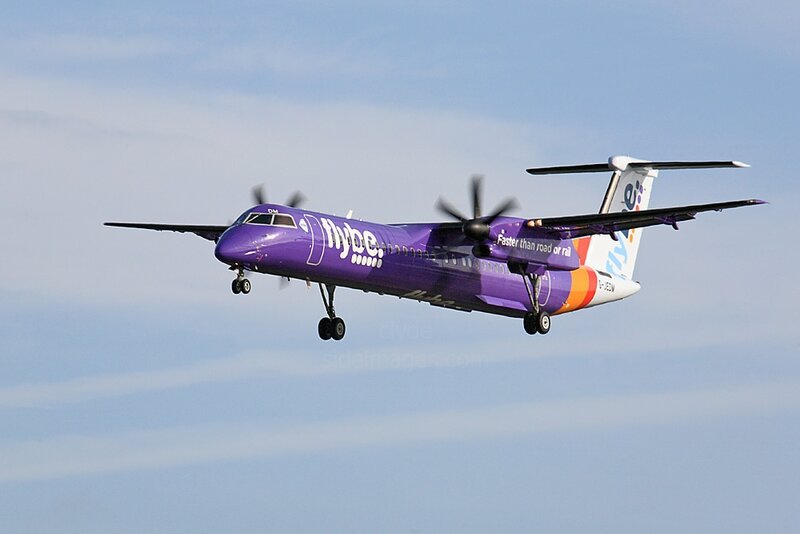 Share prices later recovered and were down just 1% by the time markets closed on the day in question, after a 69-year-old passenger of Asian origin, believed to be a doctor, was forcibly removed from the aircraft. 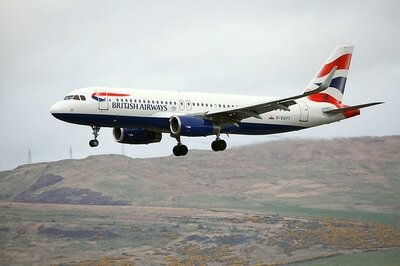 Mobile phone footage taken on board, soon went viral on Twitter. 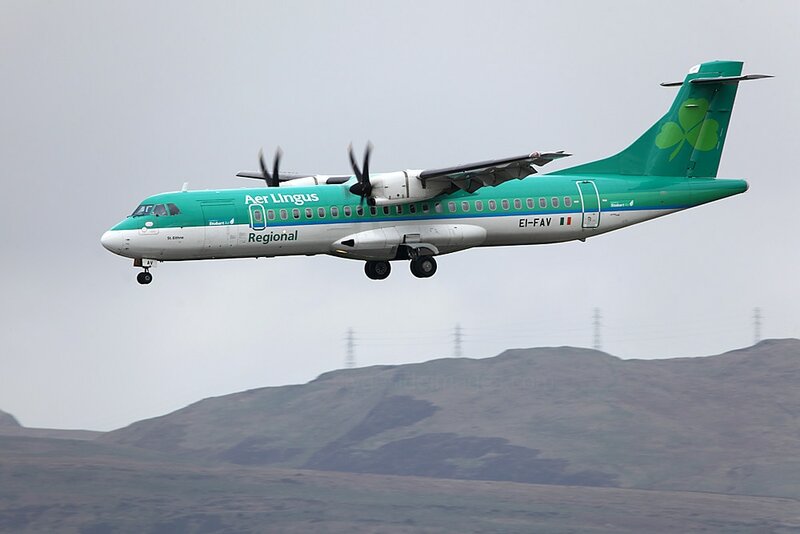 The video shows the man being pulled out of his seat and dragged, screaming, down the aisle. 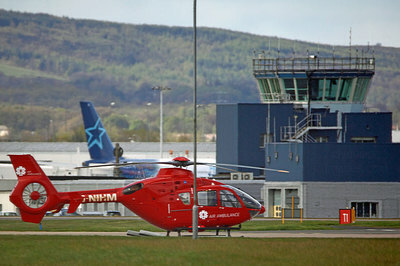 He is later seen with blood on his face and he was required to remain in hospital for treatment. 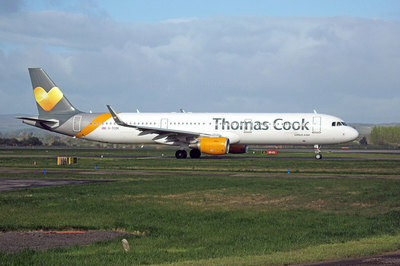 ​Oscar Muñoz, the President of United Airlines, later apologised profusely for the "truly horrific" incident. The airline, whose slogan is "Fly the Friendly Skies", had previously described the evening flight from Chicago to Louisville, Kentucky, as overbooked, however, rather than overbooked it had just been fully booked and the airline wanted to get four passengers to leave the flight to make room for four members of staff who were needed in Louisville the next day. 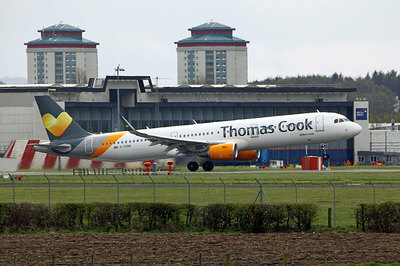 Three passengers accepted the incentives offered by the airline and agreed to give up their seats but when no one else volunteered, it appears that the male at the centre of the incident was selected for removal, despite his protests that he worked in a hospital and had patients to see the following day. 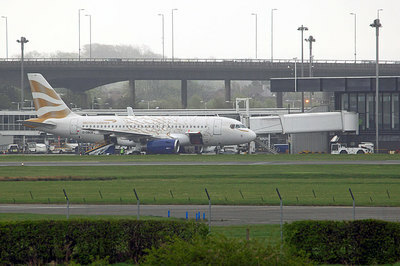 Cabin crew requested assistance from Chicago Aviation Security Officers who carried out the removal. 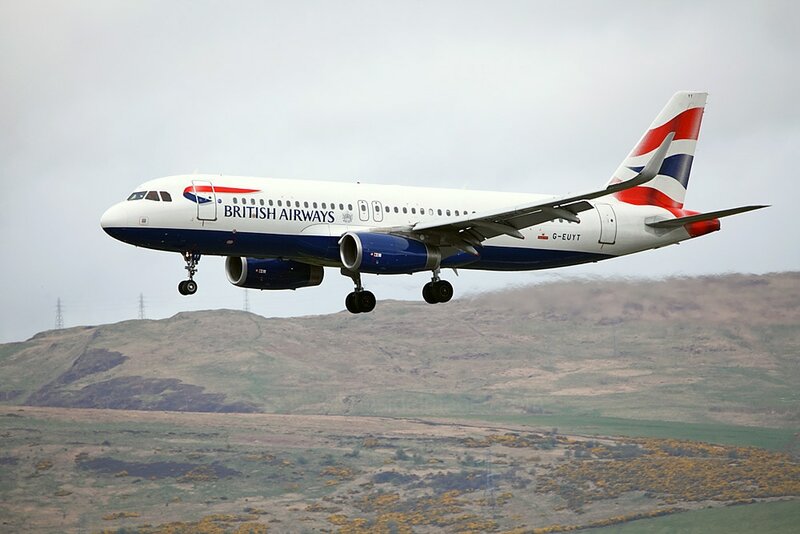 No doubt when the aircraft eventually got underway, every passenger had their eyes firmly focused on the flight attendants as they gave the pre-flight safety briefing - just in case the crew singled out anyone not paying attention for similar treatment! Another view of Virgin Atlantic`s `Hot Lips` G-VLIP departing Glasgow on Friday 7 April. 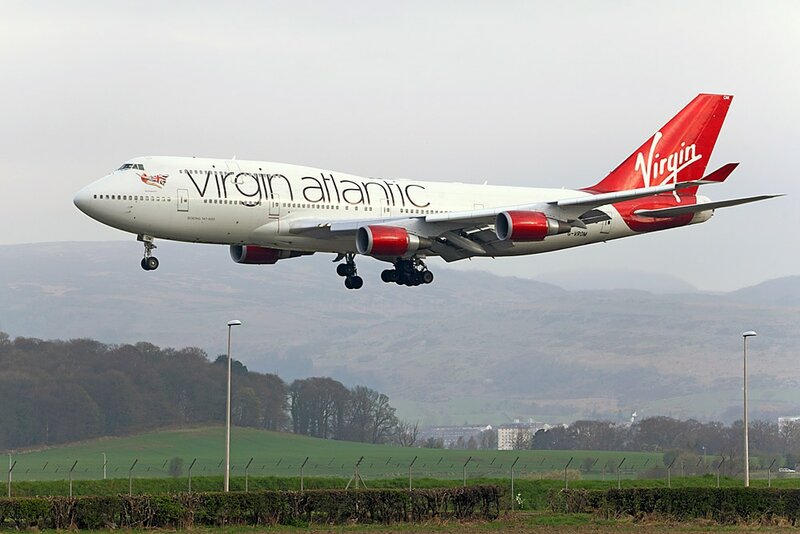 ​A320-214(WL) D-AIZR Eurowings (Borussia Dortmund Livery) (21st); Boeing 747 G-VGAL Virgin Atlantic, Hekla Aurora TF-FIU and HOP! 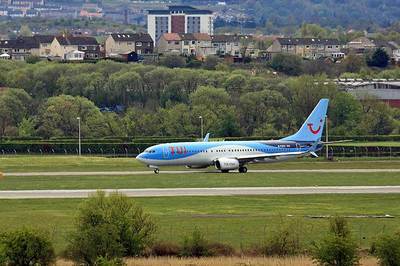 Embraer ERJ-170LR F-HBXL (f/v) (22nd); ​Boeing 737-8K5W G-TAWS and G-TAWI (both f/v) Thomson Airways (23rd); Airbus A320-214(WL) D-ABHF Eurowings (f/v) (25th);​ ​A320-214(WL) D-ABHF Eurowings (f/v) (25th); ​Boeing 777-31H(ER) A6-EPZ Emirates (f/v), Airbus A320-214(WL) G-EZRC easyJet (f/v) and Boeing 737-8AS(WL) EI-FZJ Ryanair (f/v) (26th); ​Boeing 737-8AS(WL) EI-FZL Ryanair (f/v) (29th); Airbus A320-214 HB-IJM Swiss International Air Lines (f/v) in Star Alliance livery f/t Geneva, Boeing 737 EI-FZO Ryanair (f/v), plus another one of several visits this month by easyJet Airbus A319-111 G-EZBG in Hamburg Livery (30th). CityFlyer ERJ-190SR G-LCYR. 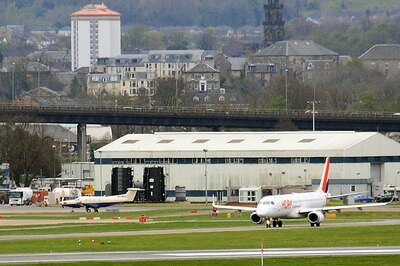 Glasgow`s new Queen Elizabeth University Hospital is in the background with the rooftop helipad on the right hand side. Icelandair 757 TF-FIA arrives from Keflavik on Friday 14 April. 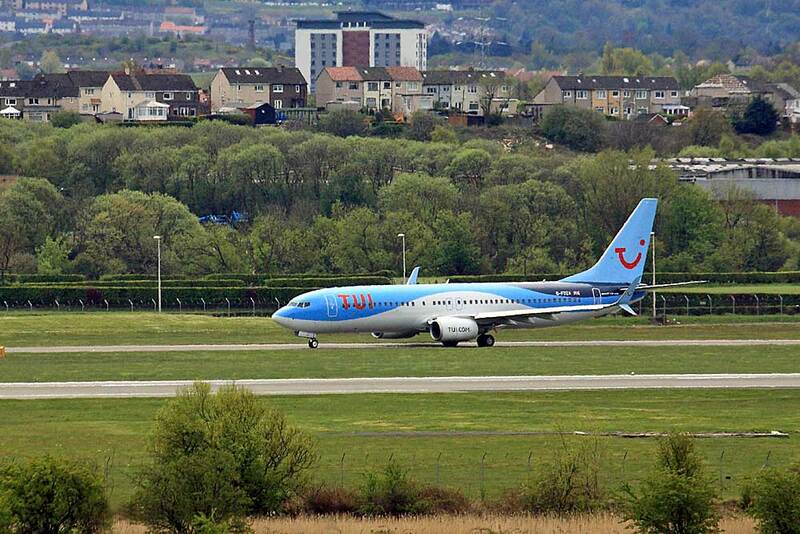 ​Below: Local Spotters capture the arrival of Eurowings A320-214 D-AIZR on Friday 21 April. 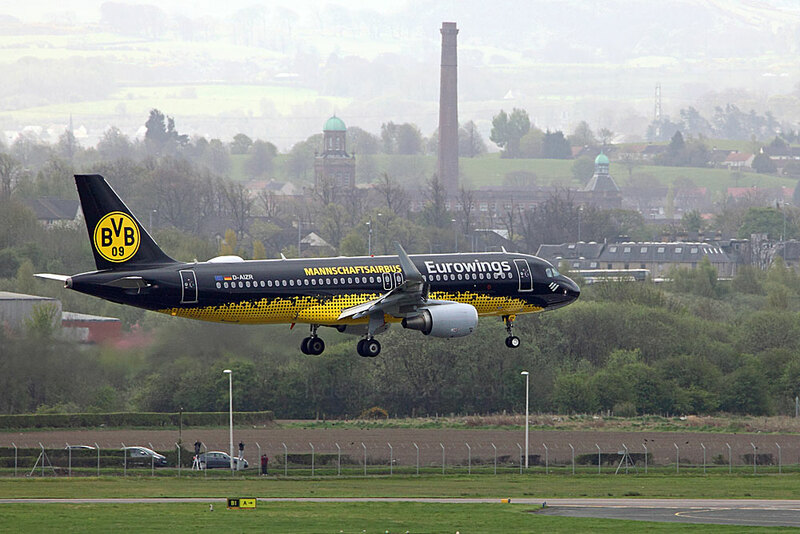 Borrusia Dortmund, also known as BVB or BVB 09, is the second largest sports club by membership in Germany and since July 2016 the carrier, which is part of the Lufthansa Group, has been in partnership with the football club to serve as it`s sponsor and official airline for away matches. 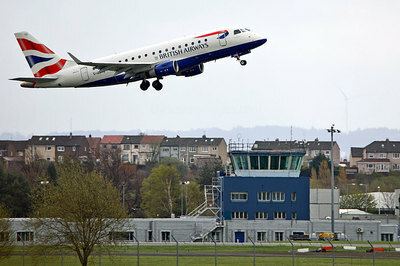 The Bundesliga team almost met with disaster earlier this month following an attack which was initially suspected to be terrorist related. 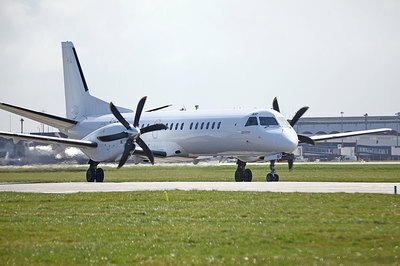 On 11 April, as the team bus was heading towards its stadium for a Champions League match against A.S. Monaco, three improvised explosive devices were detonated. 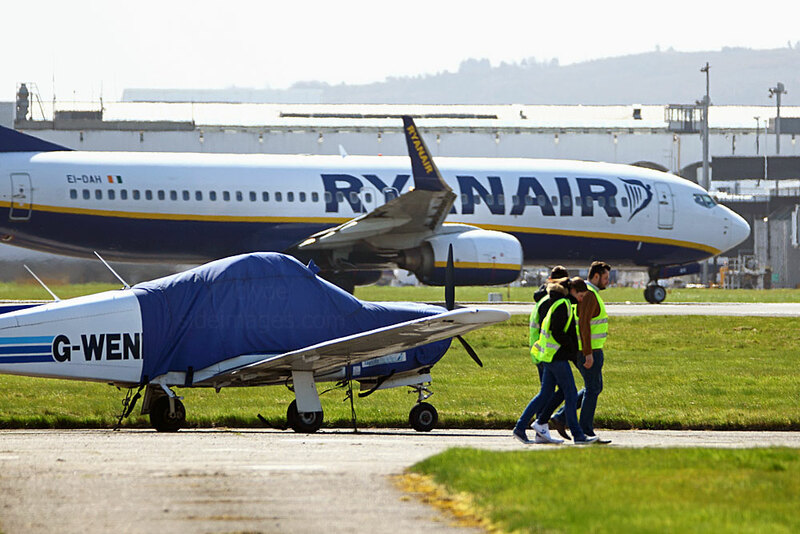 By good fortune, only one of the players, Marc Bartra, a defender, was injured when the windows blew in but other passengers and bystanders had to be treated for shock. Although Bartra required surgery his injuries were not life threatening. ​A 28-year-old male suspect was subsequently identified and arrested but, rather than having links to Islamic extremism, he was a market trader hoping to make money if the price of shares in the team fell. 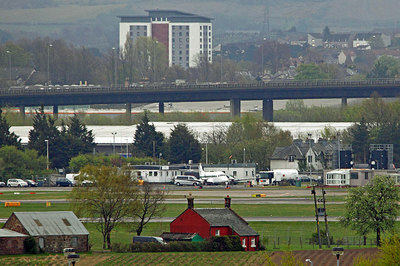 He had been staying at the team's hotel in a room overlooking the street where the explosion took place. 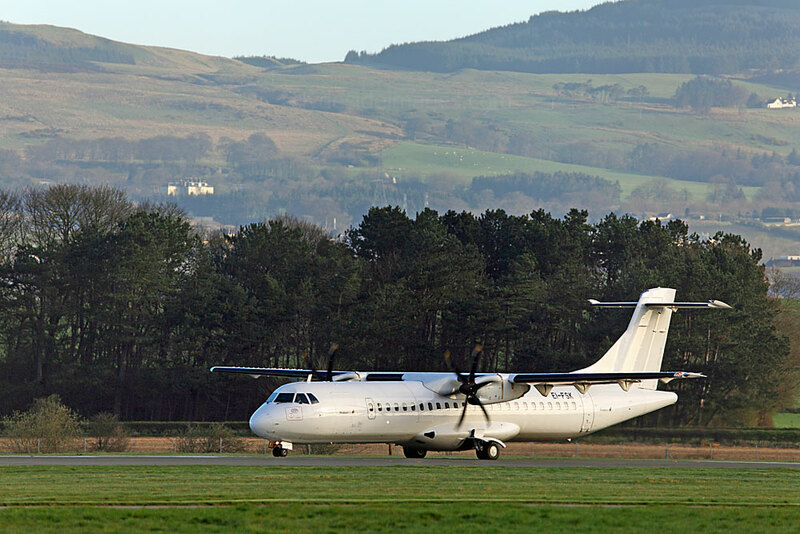 No noteworthy turboprops visiting this month but ATR72-212 S5-ACK of Aero4m (f/v) which had arrived on the 30th left at 09:30 hrs on the 1st. 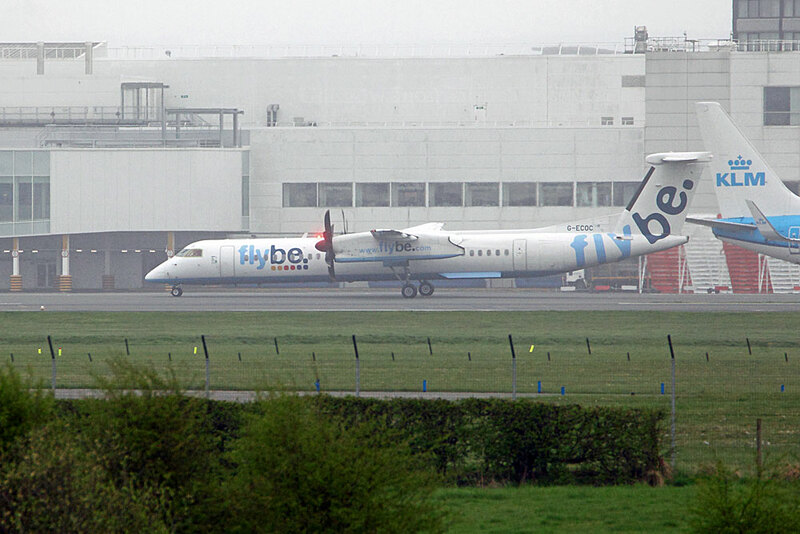 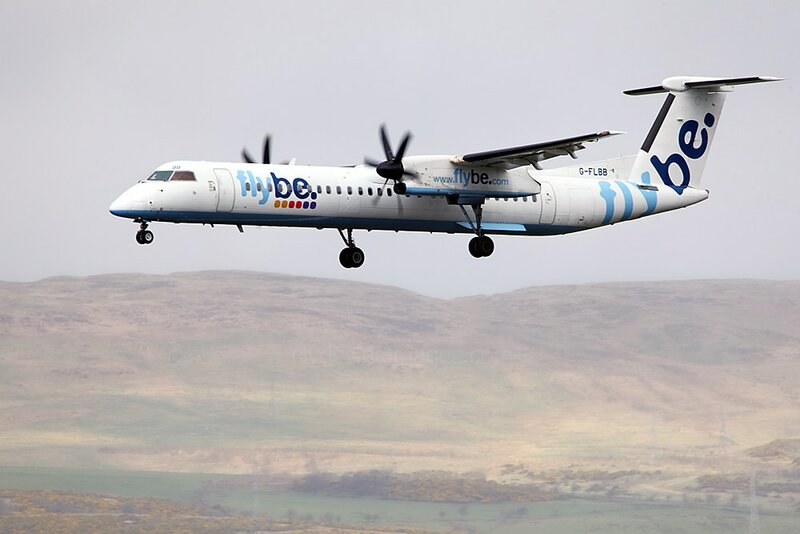 ​​Flybe DHC8-402 G-PRPK (f/v) appeared on Monday 10th April and Hebridean Air Services` Britten-Norman Islander G-HEBO called-in on the 25th and 28th. 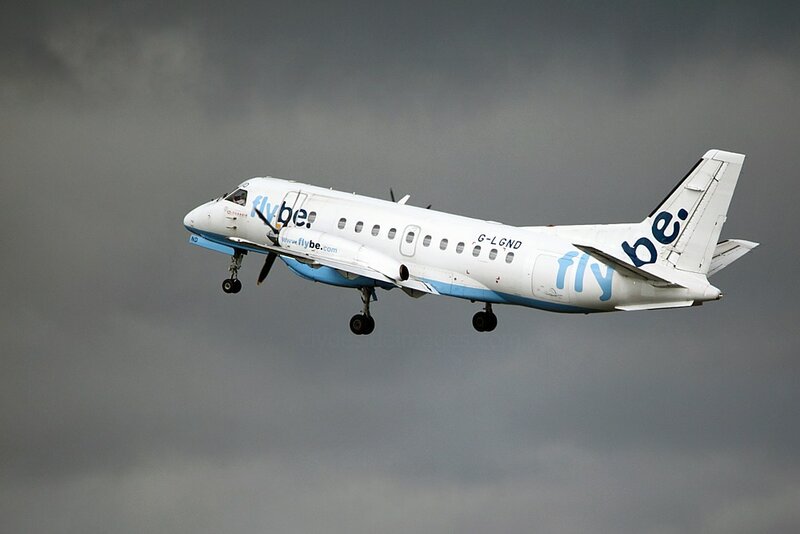 ​Earlier this month Saab 340 G-LGNN flew to East Midlands for painting, having been converted to a freighter at Ørebro Airport in Sweden. This aircraft was the first of the Loganair fleet to be painted in the airline`s new colour scheme pending the cessation of its franchise agreement with Flybe later this year. 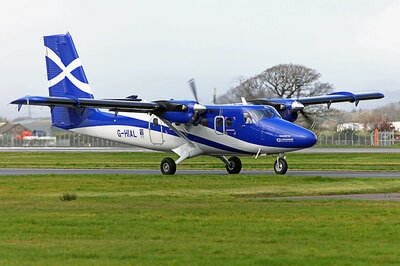 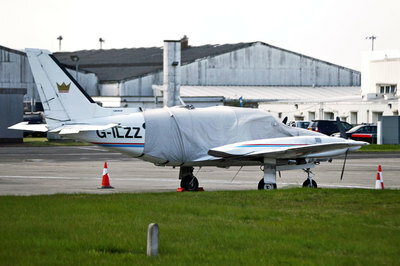 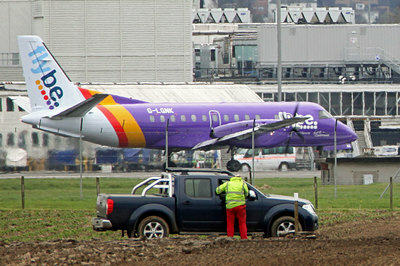 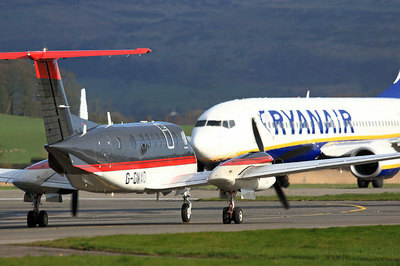 G-LGNN is pictured here outside the Loganair hanagar on the 29th. 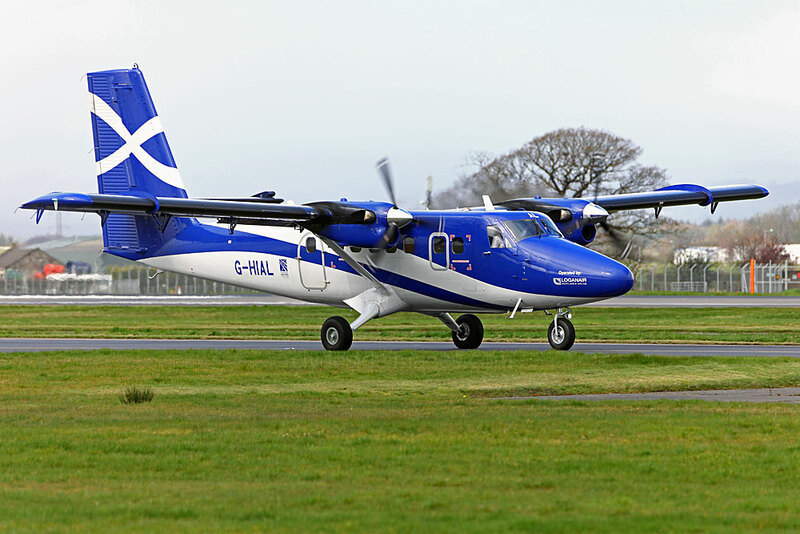 Planes will be individually named, apparently in English on the left side of the front fuselage and Gaelic on the right, in this case RMA Orkney Flyer / RMA Itealaiche an Arcaihbh. 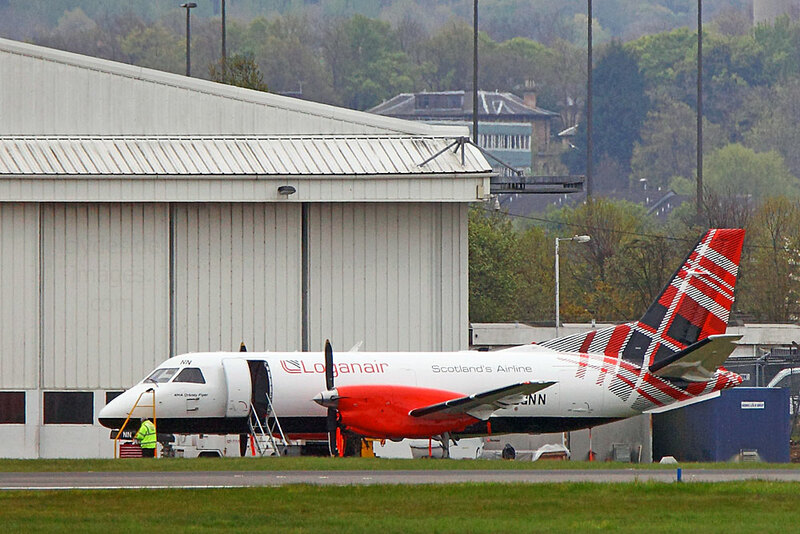 Loganair Saab 340B G-LGNH ready for departure on the 27th. 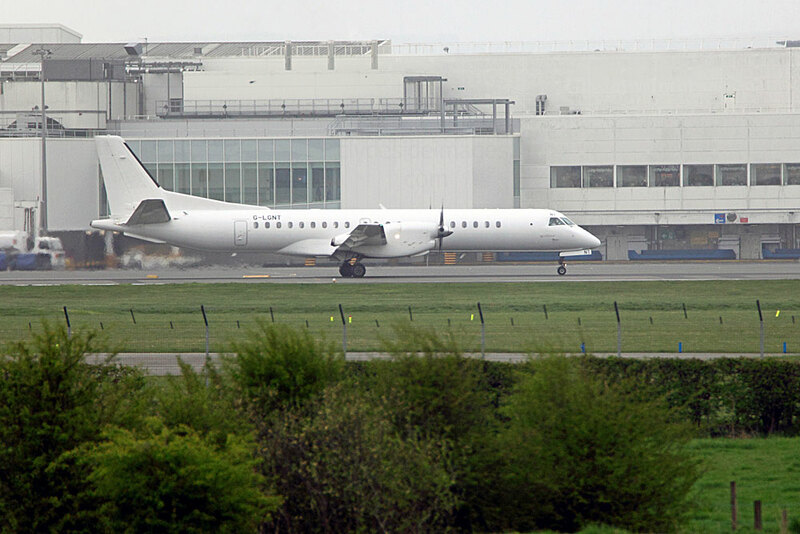 Moroccan-registered aircraft don`t appear at Glasgow very often: Challenger 604 CN-IAM (f/v) made a welcome change from the VistaJet CL600s which occasionally visit. The plane touched down at 13:00 hrs on the 7th and after its passengers had disembarked at Stand 6, it parked on Area Juliet. It left just before 01:00 hrs the following morning, having spent almost 12 hours on the ground. 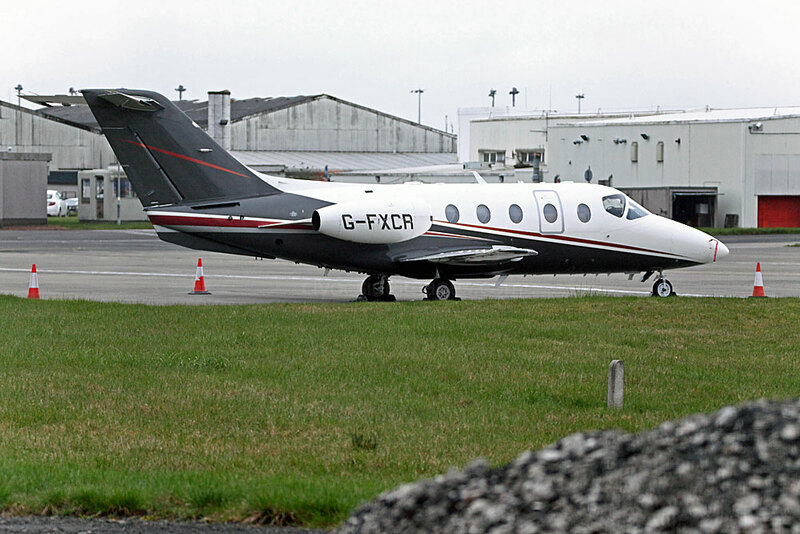 Cessna 680 Citation Sovereign OK-JRT (f/v), Bombardier Challenger 350 CS-CHE and Citation XLS CS-DXL both of NetJets Europe, plus Embraer Phenom 300 G-JMBO (11th); Learjet 40 I-FORR, Learjet 35A D-CTWO and Phenom 300 G-JMBO again (13th); Embraer Phenom 300 G-JMBO and Cessna Citation XLS+ G-CHUI (16th); ​Bombardier Global 6000 EC-LTF TAG Aviation (18th); ​Dassault Falcon 2000EX CS-DLH of NetJets Europe (19th); ​Learjet 35A D-CFOR and Citation Bravo G-SPRE (20th); ​Falcon 2000EX CS-DLH returned (21st); ​Dassault Falcon 7X M-CELT, Raytheon Hawker 750 G-TWIY of Saxon Air Charter and Learjet 75 G-ZNTH (23rd); Citation XLS SE-RMR (f/v) and Raytheon Hawker 750XP 9H-BSA (24th); ​Challenger 605 EI-WFI (25th); ​Bombardier Global Express G-GOYA (f/v), Citation XLS G-CHUI, and Citation Mustang G-FFFC (27th); Bombardier BD-700 Global Express N203JE (f/v), Embraer ERJ-135-BJ Legacy P4-MSG (f/v) and Learjet 45 D-CDOC (28th); ​Gulfstream IV-SP N510MG and Bombardier Global 6000 M-YSSF (f/v) (29th); ​Raytheon 400A Beechjet G-FXKR (30th). Gulfstream 650 N918TA (f/v) arrived late on 3rd April and stayed until the 8th. 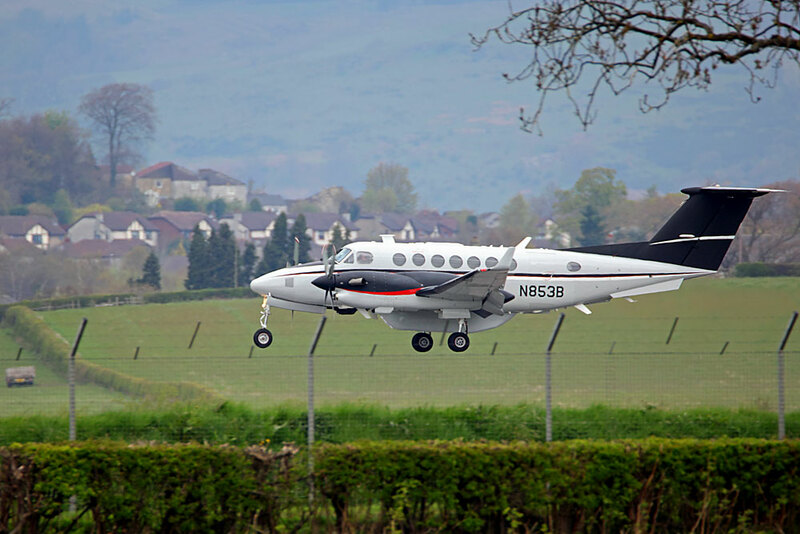 Textron Aviation company, Cessna, is celebrating the 45th anniversary of the first Citation delivery. 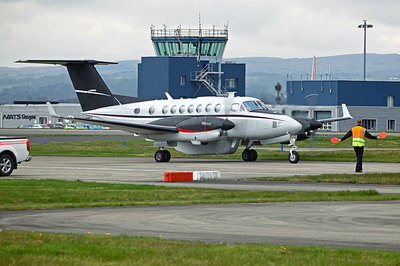 The maiden jet, a Citation 500, was handed to American Airlines in January 1972, where it was used for the development of the carrier`s training programme. 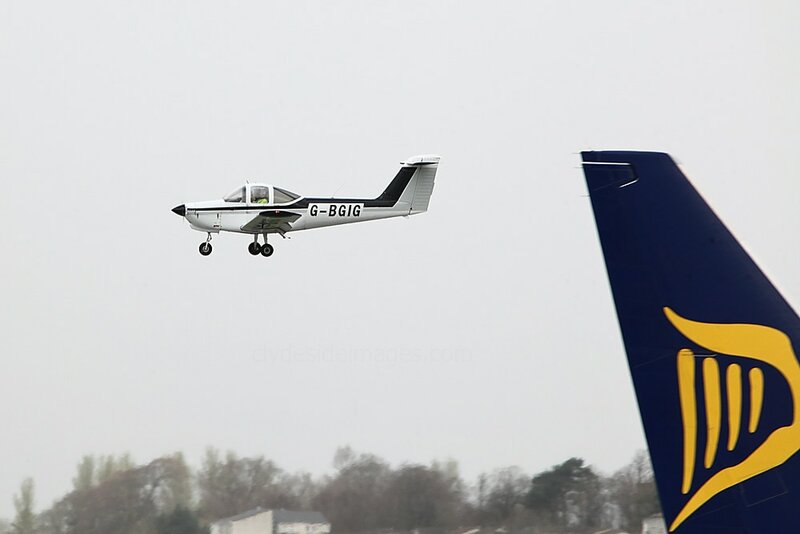 Since then Cessna has delivered more than 7,000 examples to customers around the globe with the fleet amassing almost 35 million flight hours. 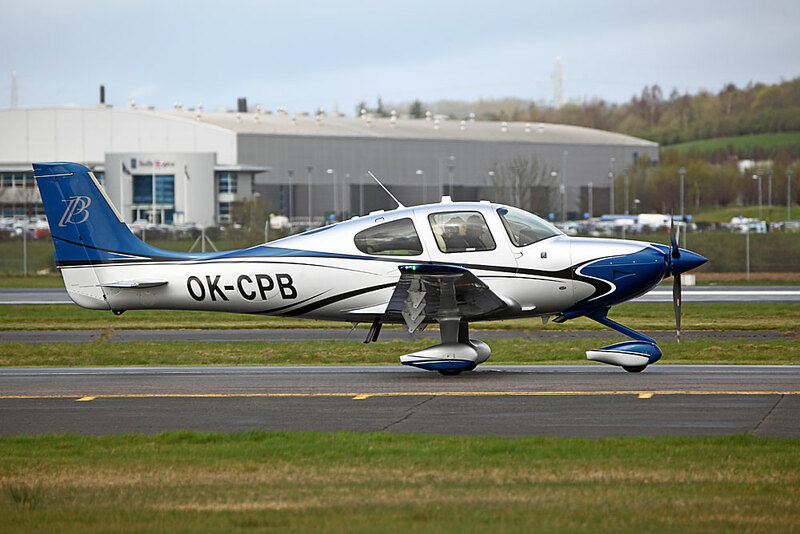 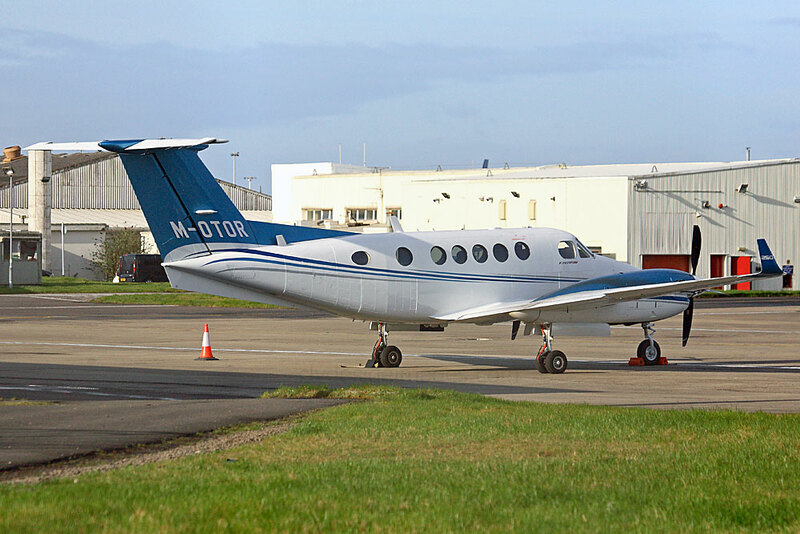 There are currently eight Citation models in production, namely the Mustang, M2, CJ3+, CJ4, XLS (including CS-DXG above, one of two which visited Glasgow on 4 April), Latitude, Sovereign and the X+, with a further two models, the Longitude and Hemisphere under development. 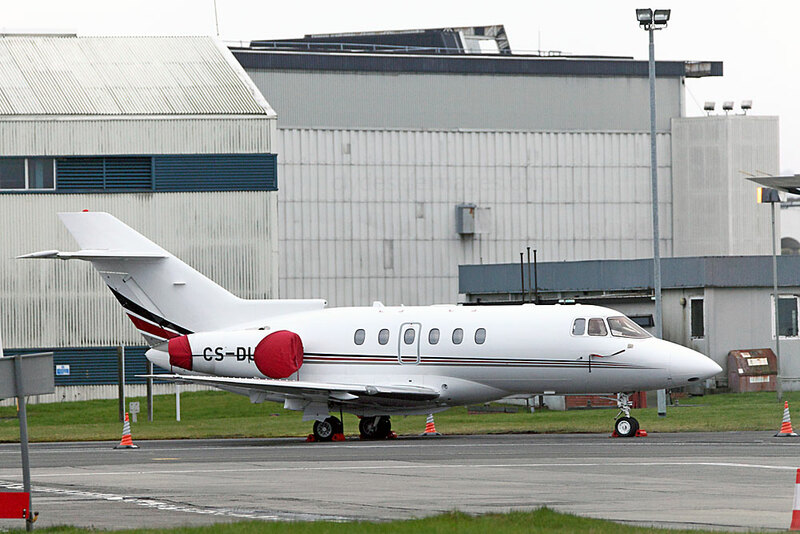 NetJets Bombardier Challenger 350 CS-CHF on its first visit, Area J, Saturday 8 April. 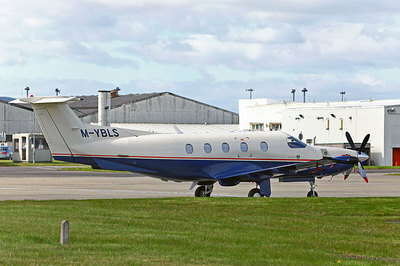 ​Bombardier Global Express G-GOYA (f/v) takes to the air after a brief stop on the 27th. 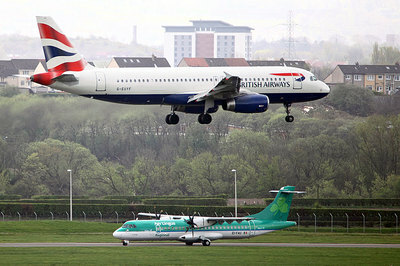 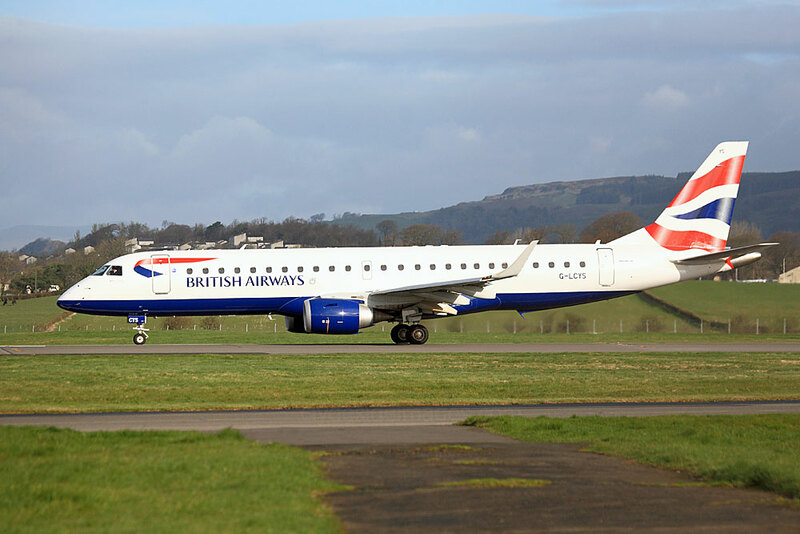 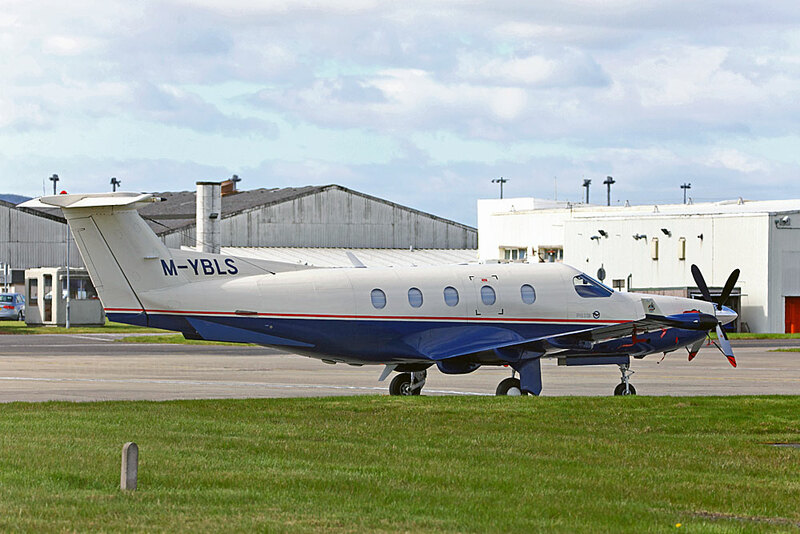 This pair of large corporate jets were photographed on Taxiway `Yankee` on Saturday 29 April, both having arrived at Glasgow for the first time the previous afternoon: Bombardier BD-700 Global Express N203JE and Embraer ERJ-135-BJ Legacy P4-MSG. 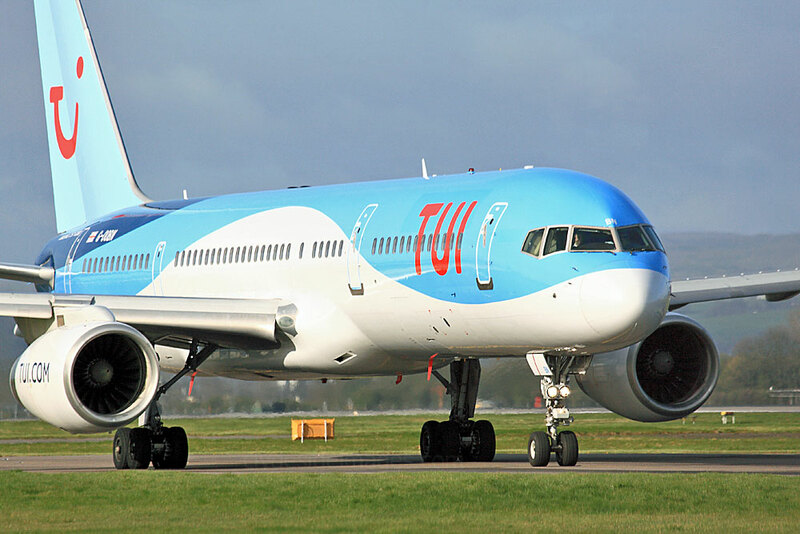 The latter aircraft is registered in Aruba, a tiny Dutch Caribbean island off the coast of Venezuela. 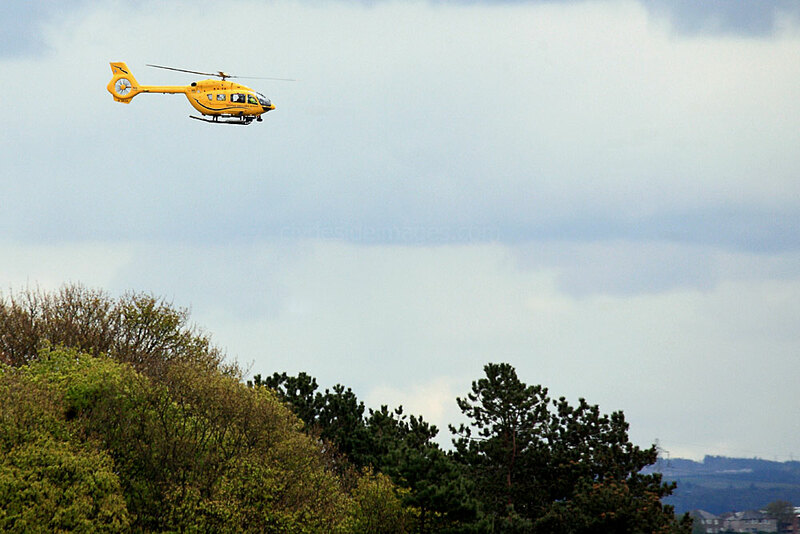 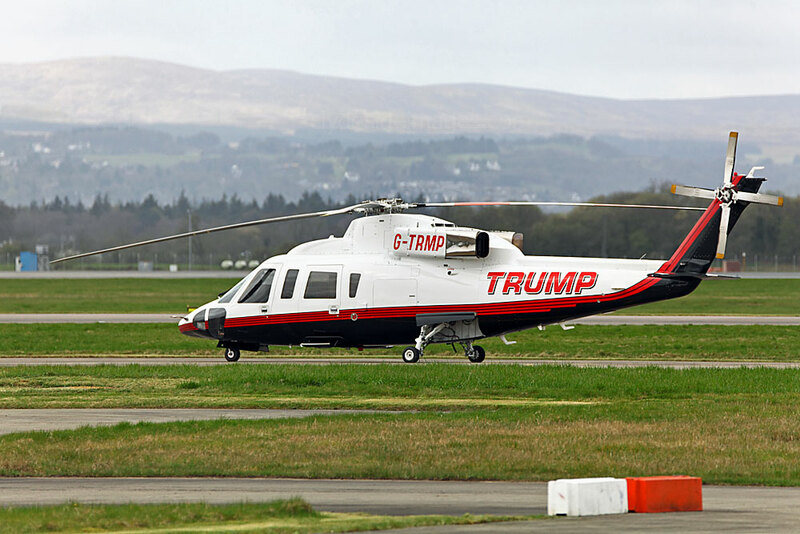 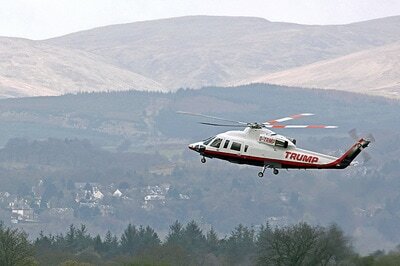 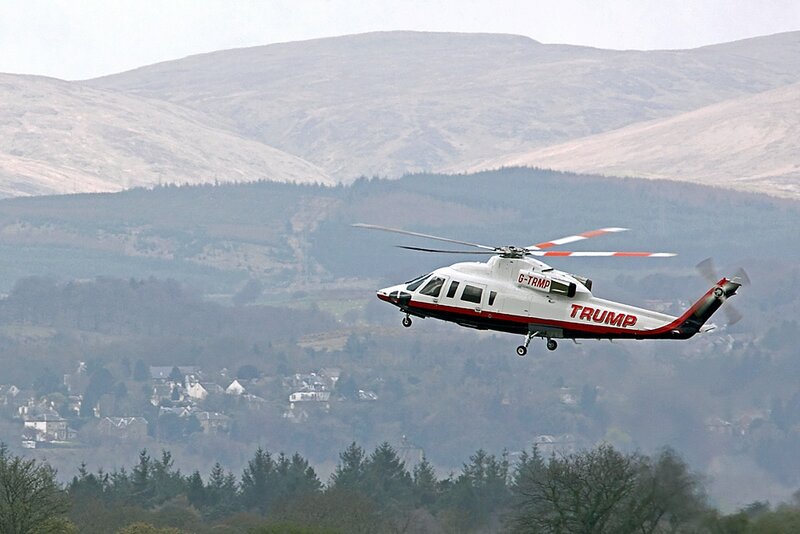 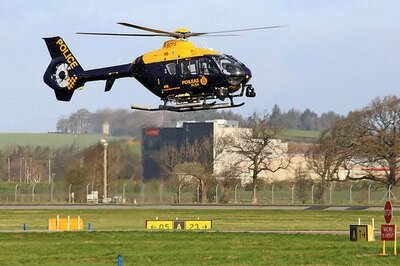 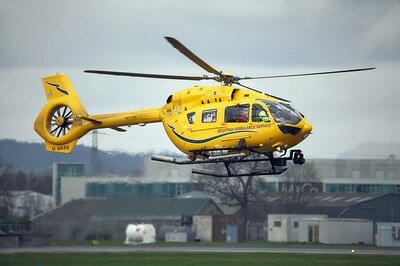 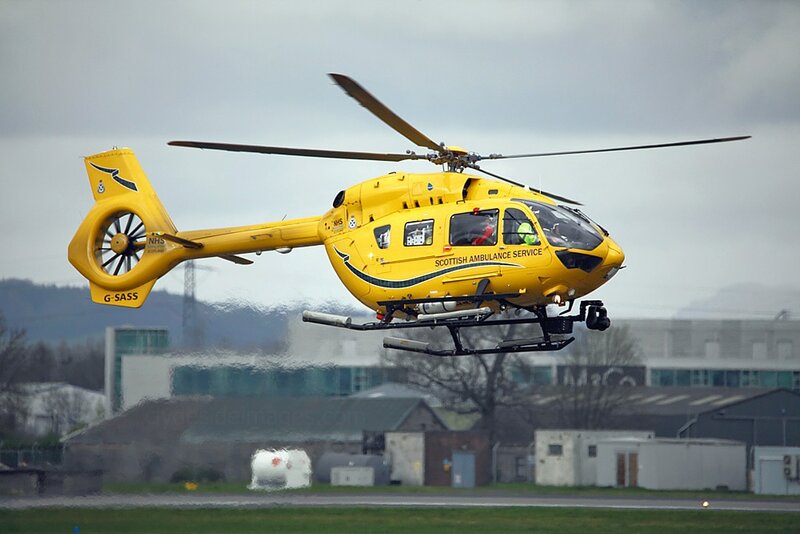 ​Donald Trump`s UK-based Sikorsky S-76B G-TRMP made a couple of brief visits around midday on Wednesday 5 April. 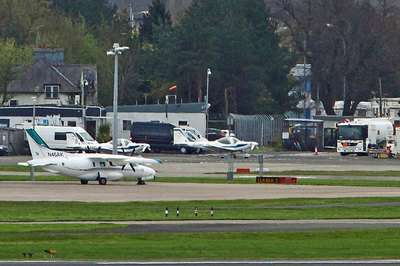 Robinson R44 Clipper II G-DOVS (16th); ​King Air 350 G-SRBM (17th); ​Beech 1900D N105EV (f/v) Erickson Inc, King Air 350 N853B (f/v), Mitsubishi MU-2-B-60 N46AK, Piper PA-32 Saratoga II G-JAFS (f/v) and Sikorsky S-76C M-JCBA (19th); ​Beech C24R Musketeer N39TA (f/v), Piper PA-28 Cherokee Cruiser G-BRBW (f/v) plus PA-34 Seneca G-CAHA made a couple of overshoots in the afternoon (20th); ​Pilatus PC-12 M-YBLS and Cessna 208 G-LAUD (21st); ​Beech 1900D N38537 (f/v) and Eurocopter EC135 G-NIHM (plus various other dates) (22nd); ​Piper PA-31 Navajo G-FNAV (23rd); ​Sikorsky S-92 G-MCGD HM Coastguard (24th); ​Cessna F.406 G-RVLW, King Air 200 G-DXTR and Eurocopter EC-135 G-SCAA (25th); Cessna 177B Cardinal G-BDRO and Piper PA-28 Cherokee Warrior II G-BGYH (f/v) which is now resident at the Flying Club (26th); ​Bell 212 N362EH overflew the airport North > South at 11:35 hrs (27th); Aerospatiale AS355F2 Ecureuil II (Twin Squirrel) G-BYZA (28th); ​PA-28 Cherokees G-BGYH and G-OWAP, plus Bell 206B Jet Ranger III G-XBOX and HM Coastguard S-92A G-MCGG (29th); ​Robinson R66 Turbine G-OHAS (30th). 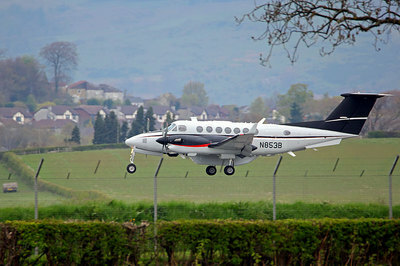 Additional shots of King Air 350 N853B on the 19th. 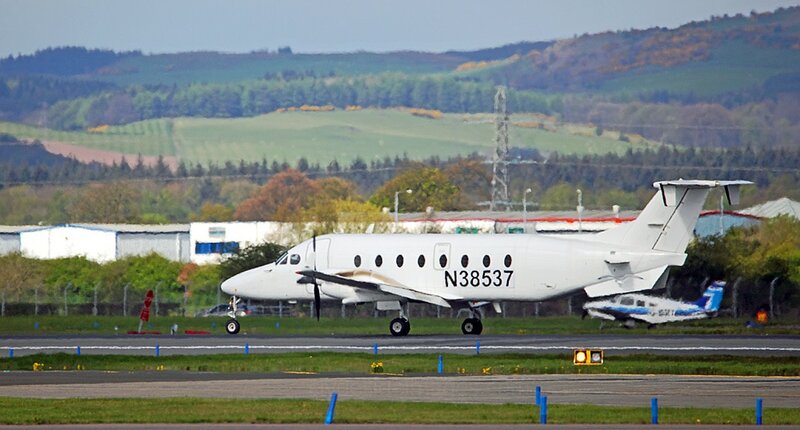 Another view of Beech 1900D N38537 which arrived on the 22nd. 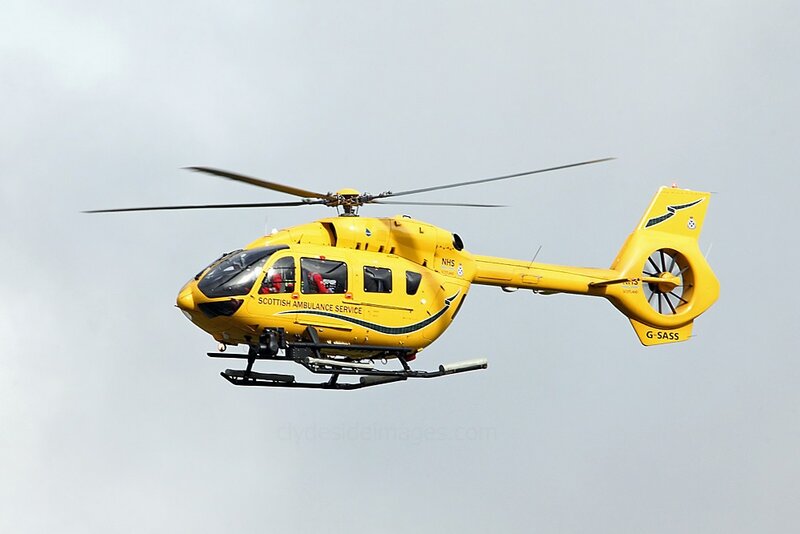 Bell 212 N362EH (below) overflew the airport on the 27th. Lockheed Martin KC-130J tanker KC-130J 169018 (f/v) of the US Marine Corps (USMC) touched down at 16:00 hrs on 31 March using the call-sign `Ranger 71`and parked up on Taxiway `Yankee`. 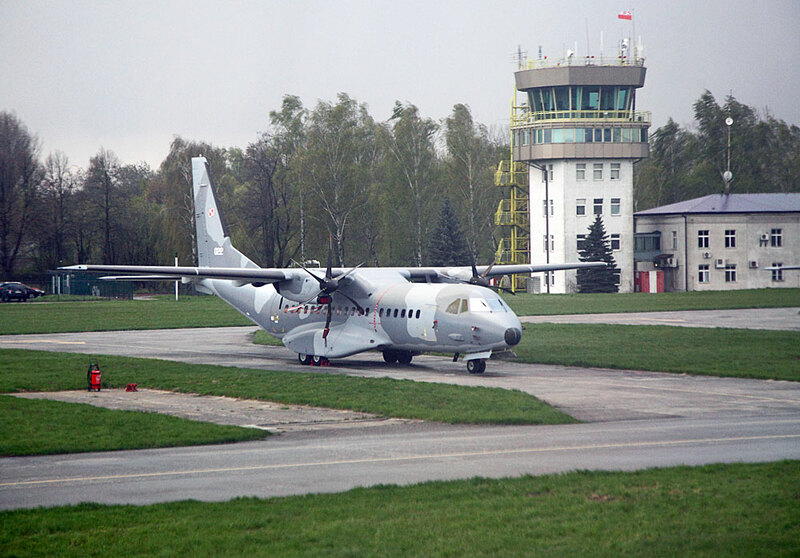 A C-160D Transall 50+82 had joined it within the hour but the German Air Force plane took off again just after 18:00 whereas the Herc night-stopped and stayed until 11:40 hrs on Sunday 2 April. 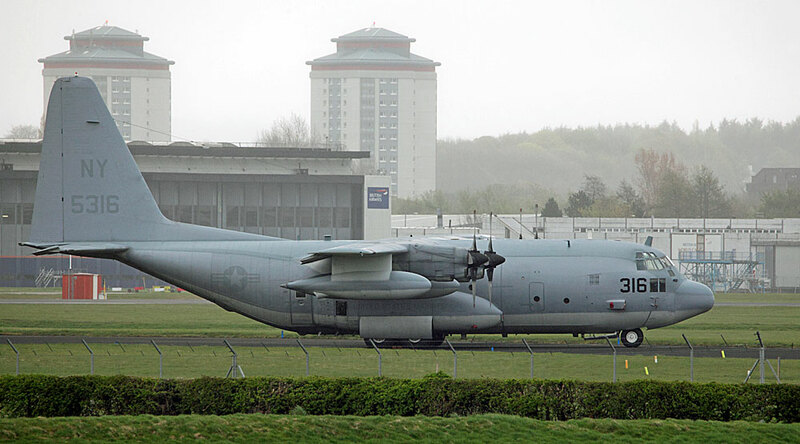 The C-130J`s `QH` tail code identifies it as belonging to VMGR-234 `Rangers` squadron based at NAS JRB Fort Worth, Texas. 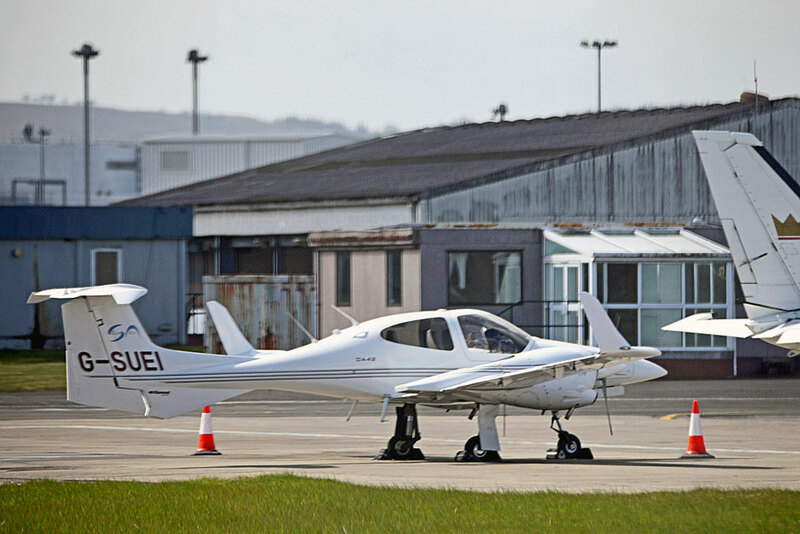 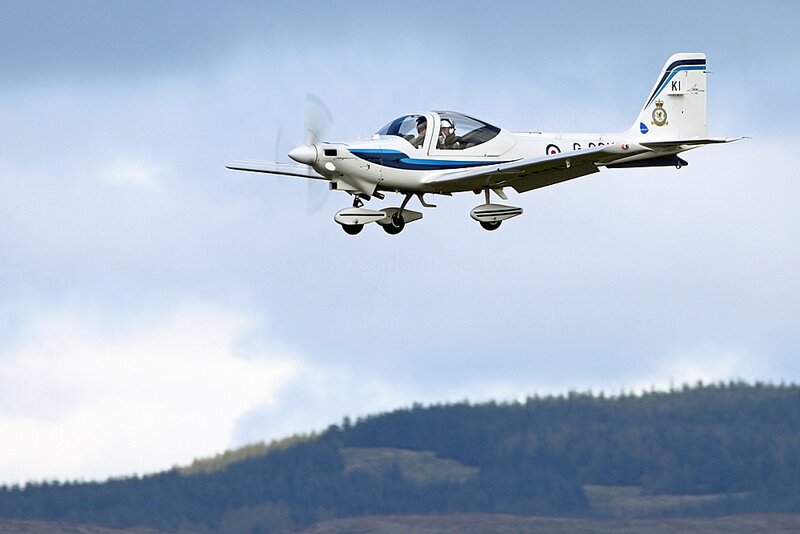 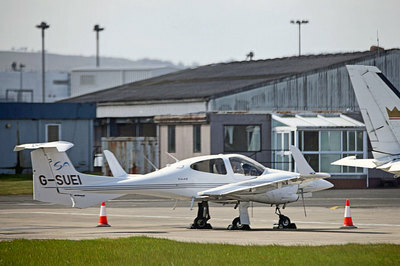 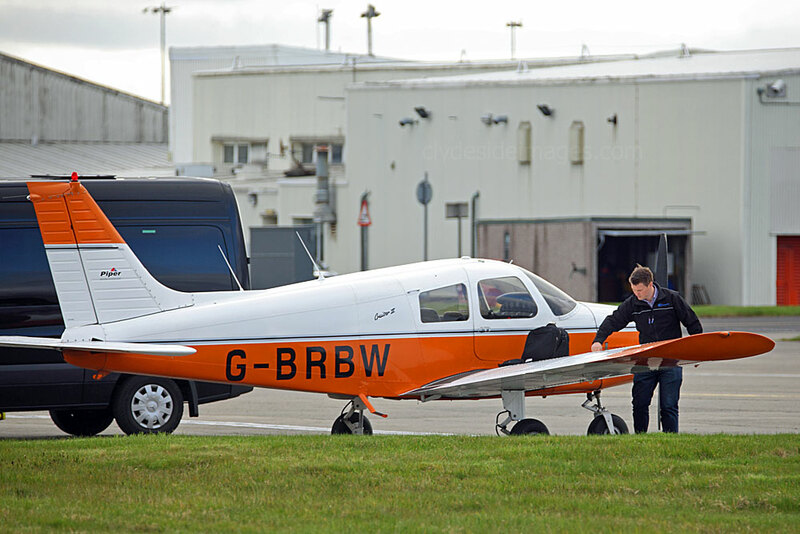 Three Grob G-115E Tutor T.1s arrived at 15:00 hrs on Friday 7 April to take up residency with the local University Air Squadron (UAS), namely G-CGKM (call-sign "Circus 1"), G-CGKE (c/s "Circus 2") and G-CGKS (c/s "Circus 3") with `KE` making its first visit to the airport. Tutor G-CGKC (f/v) joined them on the 11th. 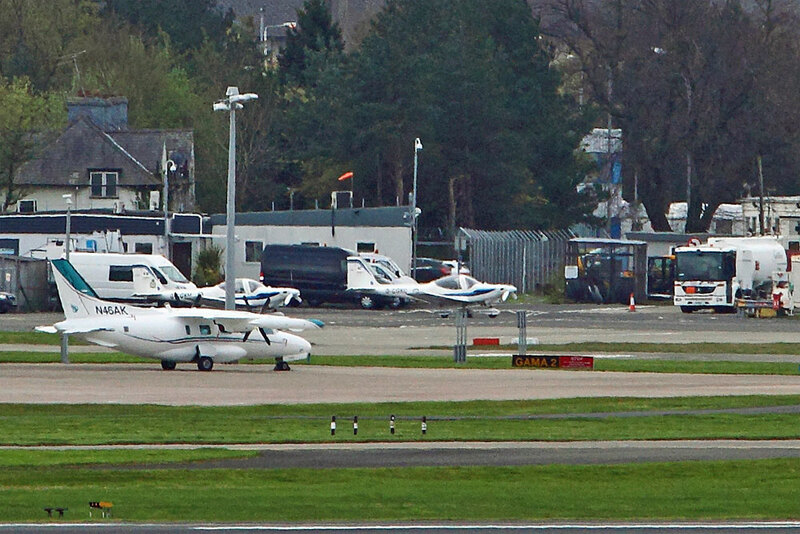 Another USMC Herc appeared on the 20th. 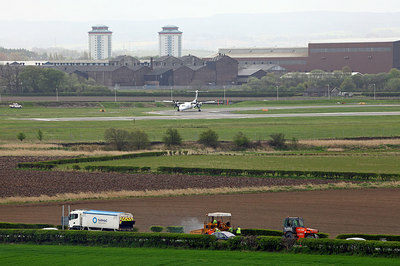 KC-130T 165316/NY (f/v) (call-sign Yankee 99`) landed at 18:30 hrs and night-stopped on Taxiway `Y`. The aircraft belongs to the US Marine Reserve Marine Aerial Refueler/Transport Squadron VMGR-452 which has its home at Stewart Air National Guard Base located at Stewart International Airport, Newburgh, New York. 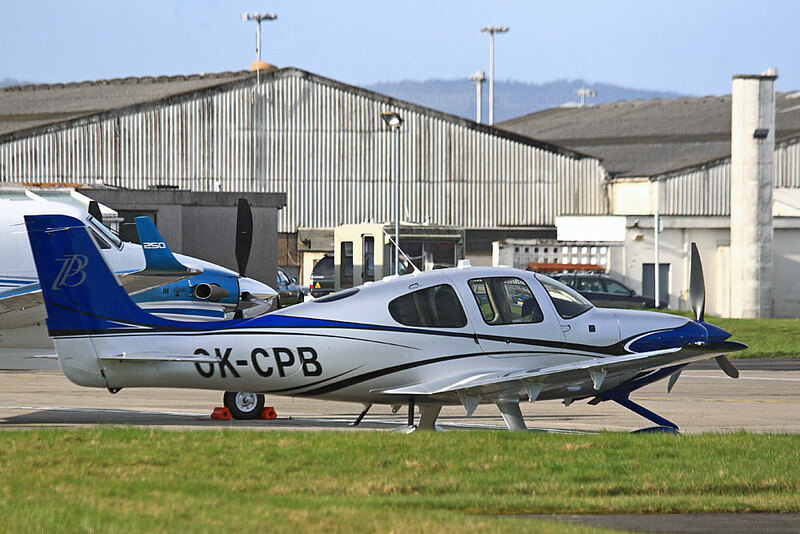 Cessna UC-35D Citation Encore, serial number 166767, of the US Marine Corps joined the KC-130T which was still at the airport on Saturday 22 April. 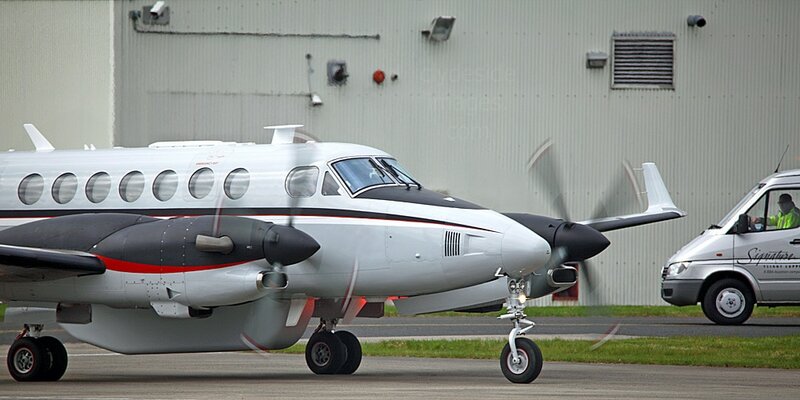 ​Fairchild C-26D 91-0509 (f/v) touched down at 13:35 hrs on Wednesday 26 April and night-stopped. The `Metroliner` is the designation for these Fairchild Swearingen twin turboprops in service with the United States military. The type was not officially named as such by the US Armed Forces, but the name of its civilian counterpart has been adopted. 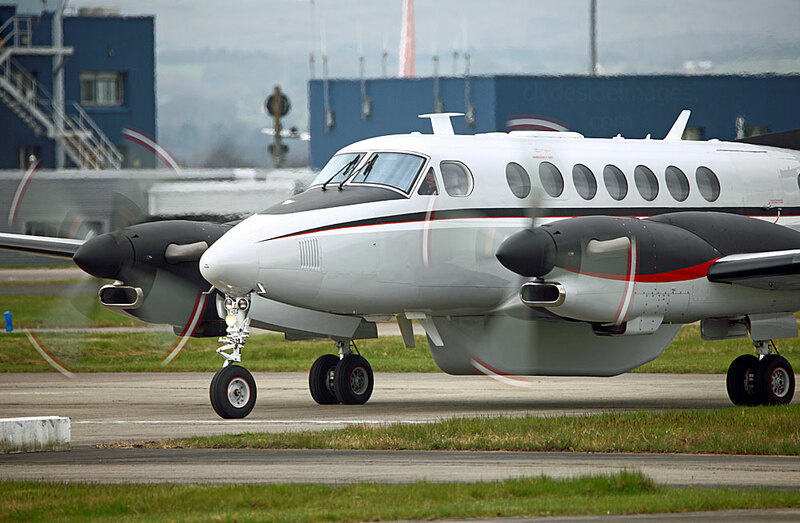 C-26Bs transferred from the US Air Force to the US Navy and following modification, including the installation of upgraded navigation equipment, four are now based in Europe and used as `rapid response` cargo and passenger transports.